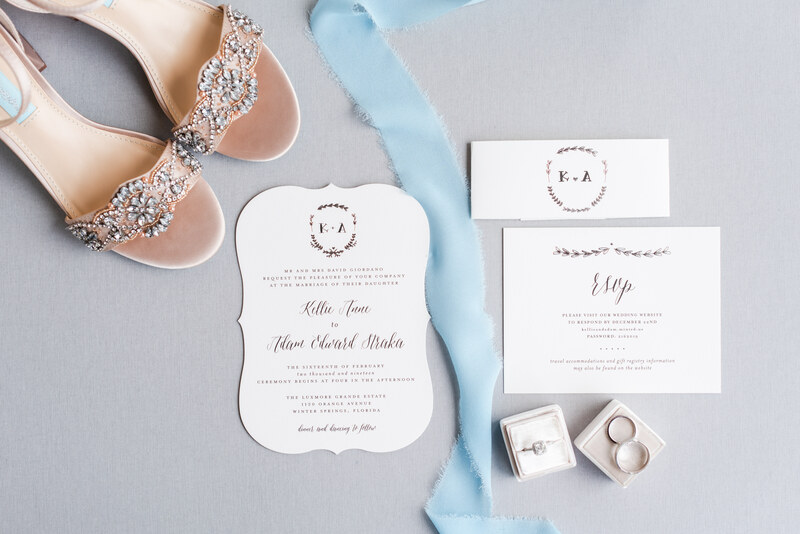 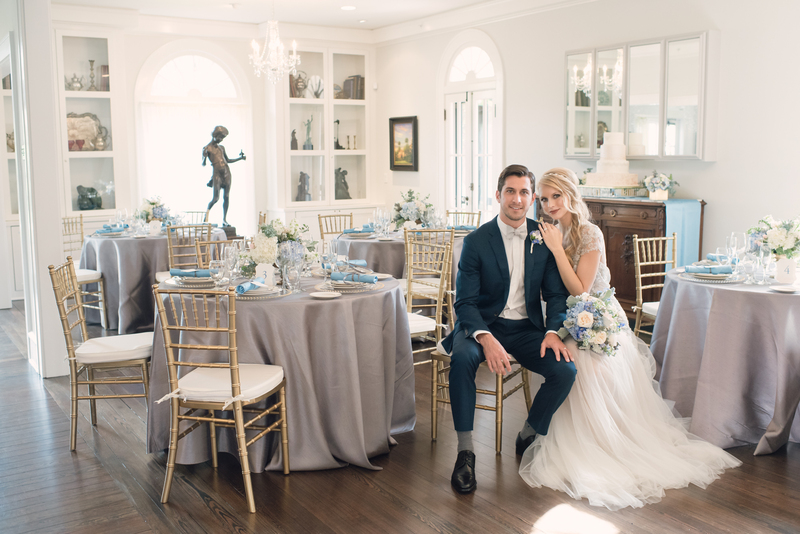 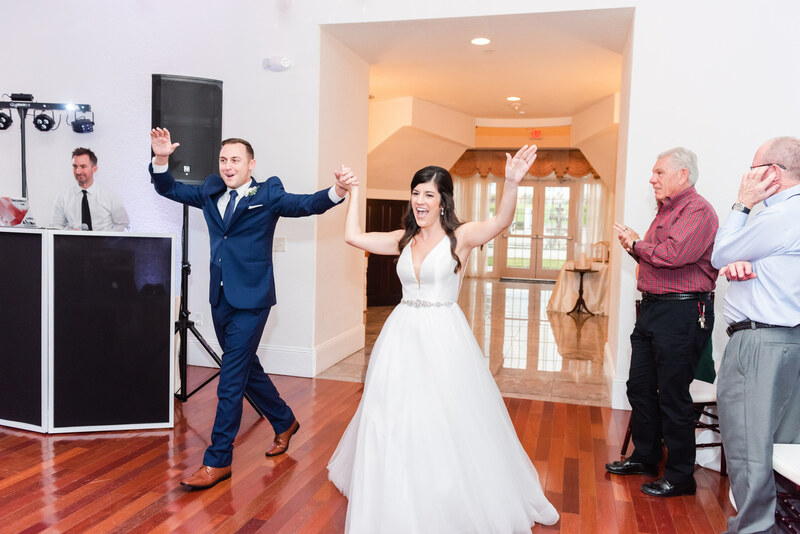 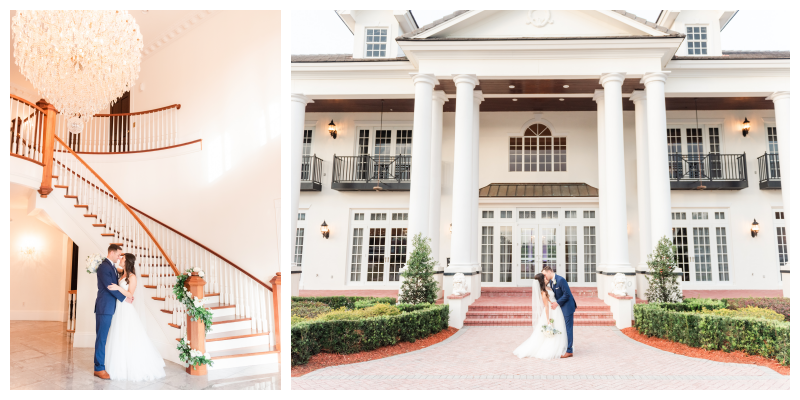 We were very excited to take on Amanda and Brett as a full planning and design client, meaning we got to work with them every step of the way to create their perfect day. 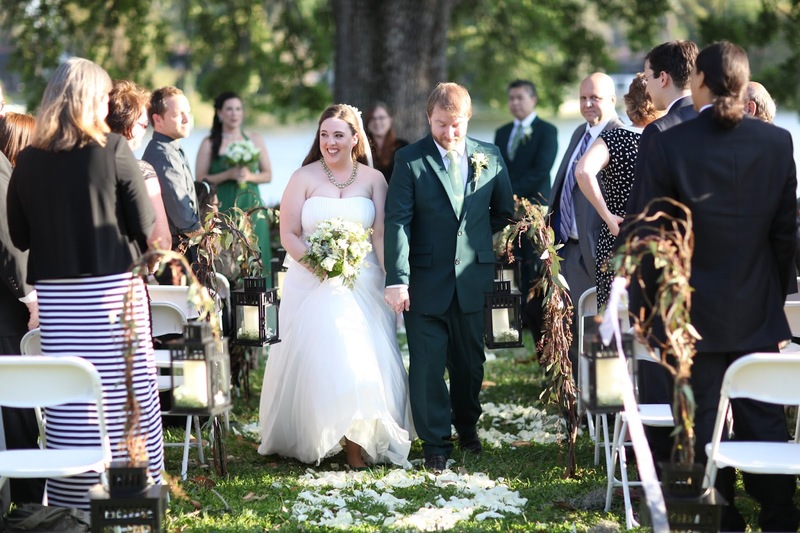 Amanda and Brett wanted to create a Farmer’s Market atmosphere for their wedding, and found the perfect venue right across the street from Amanda’s childhood home, at Beeman Park. 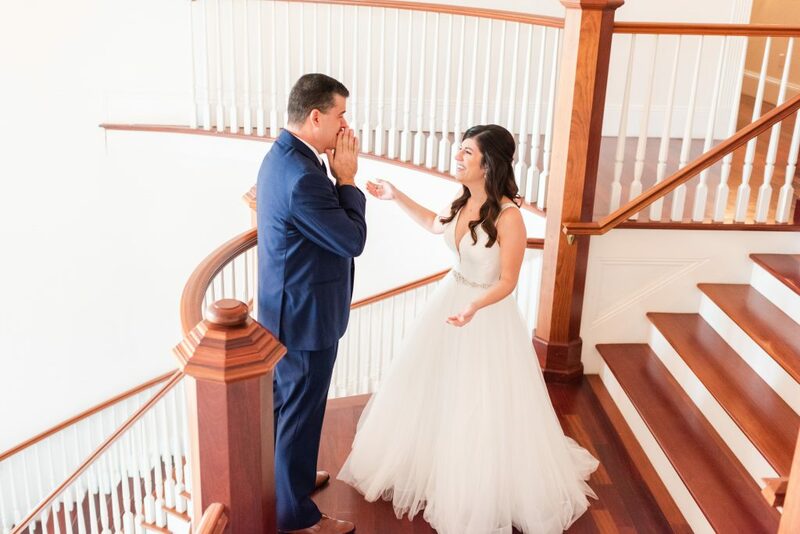 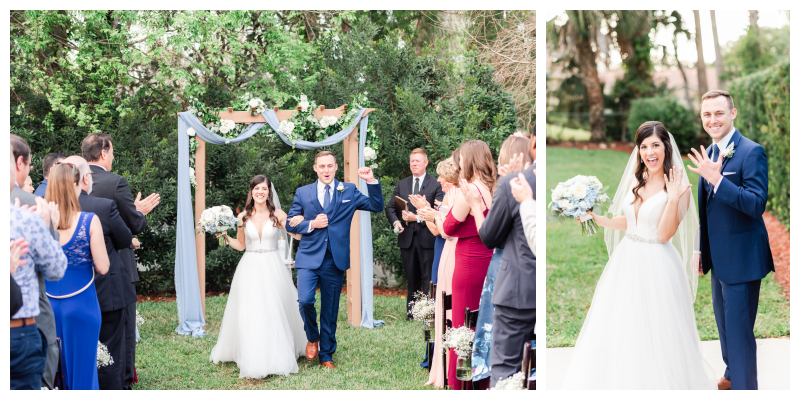 Their ceremony was held lakeside at the park, and, conveniently, the reception was held right across the street at the gorgeous home that Amanda grew up in. 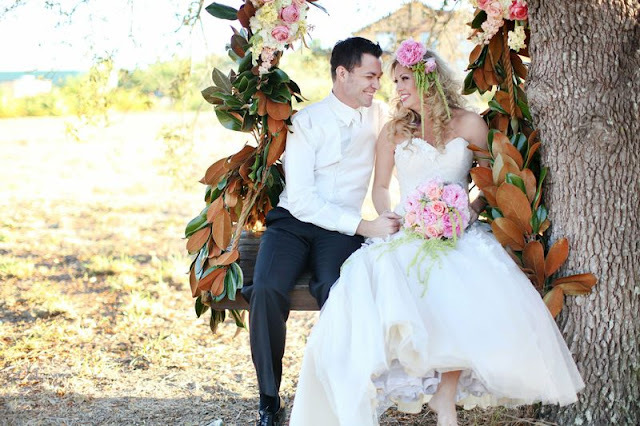 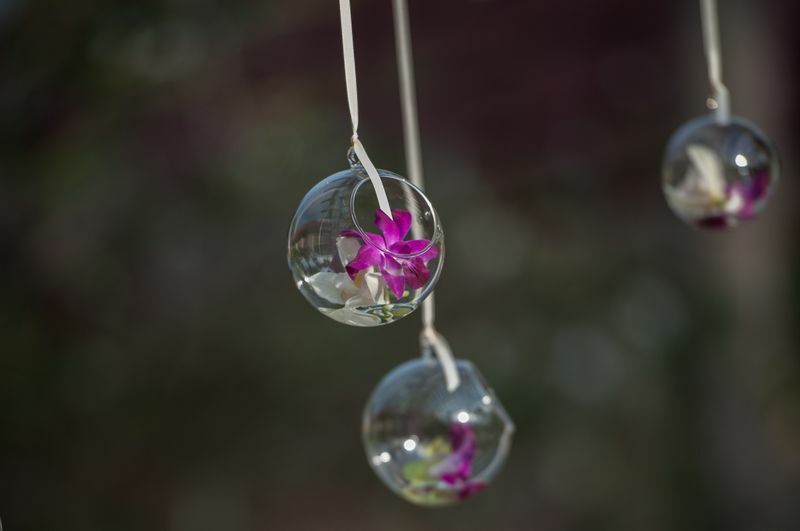 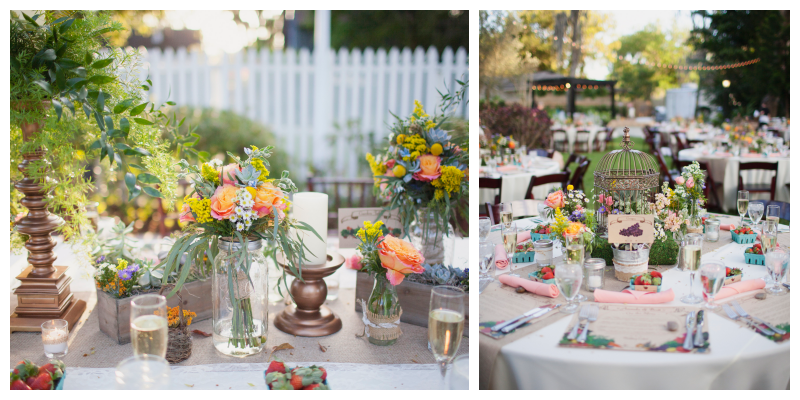 Both spots were decked out in greenery and flowers, as well as subtle touches to create a garden theme. 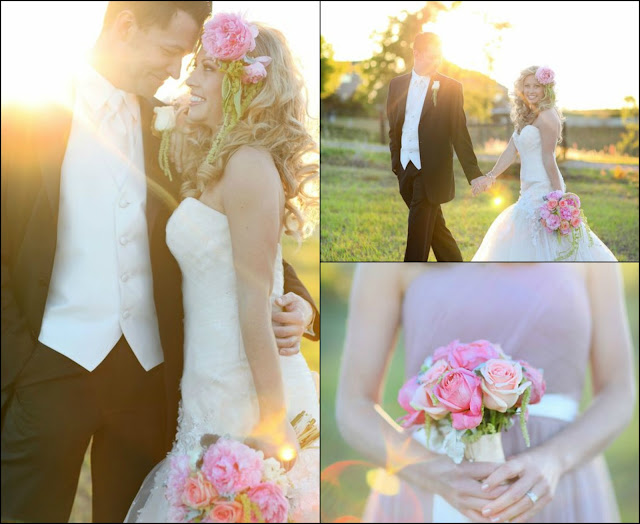 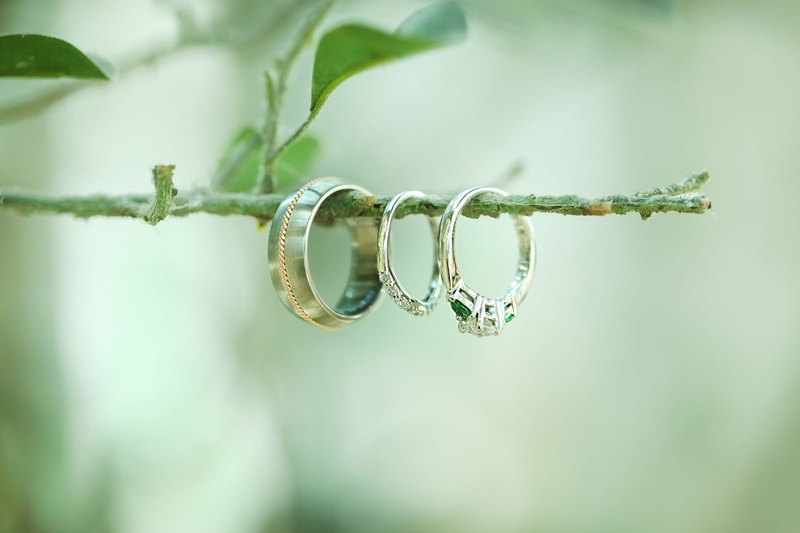 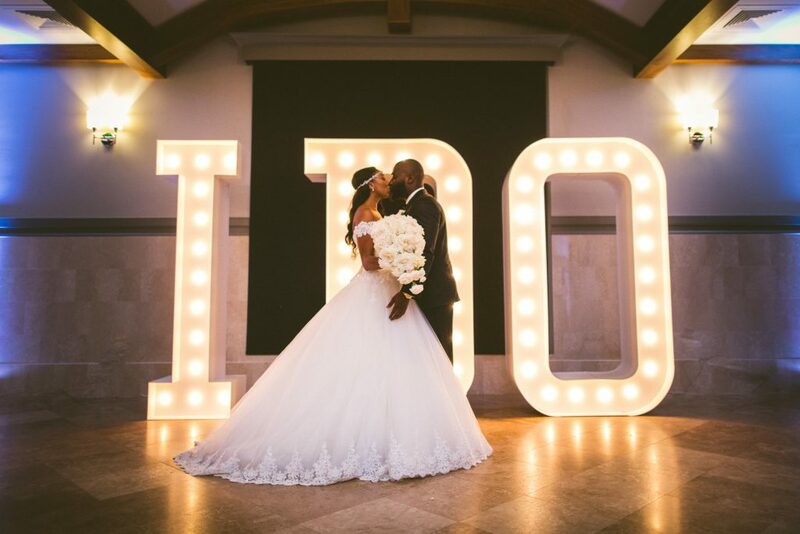 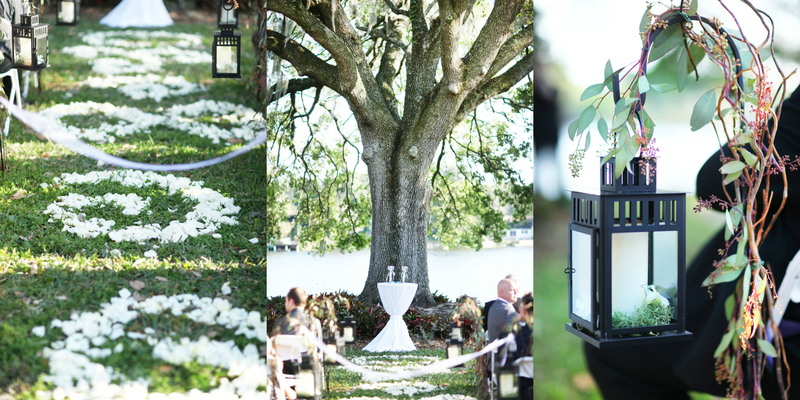 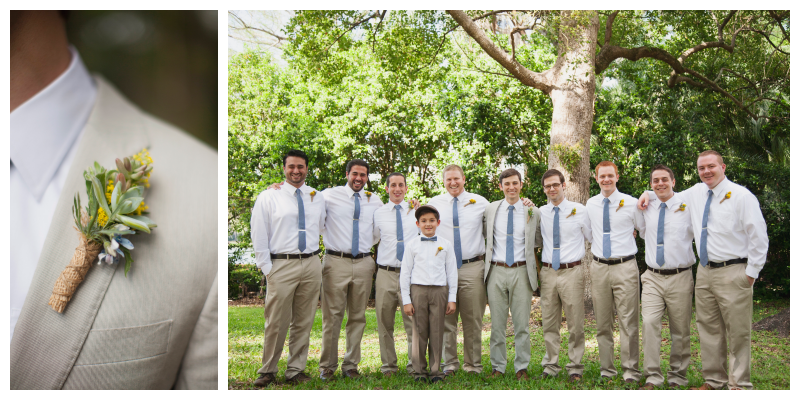 Thanks to photographer Sarah Bray, we are able to share their beautiful and intricately detailed wedding with you. 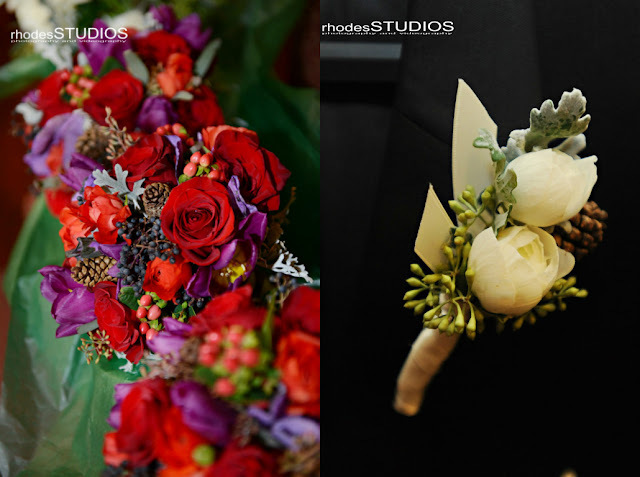 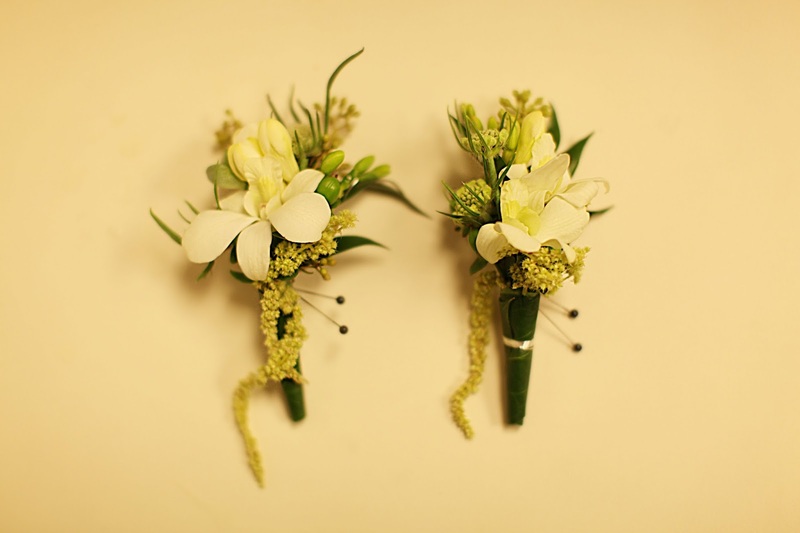 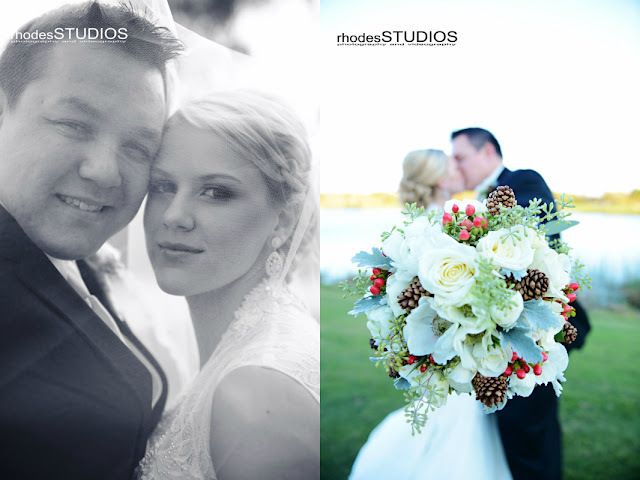 The bouquets and boutonnieres were gorgeously arranged by Flowers by Lesley with a mix of succulents and flowers. 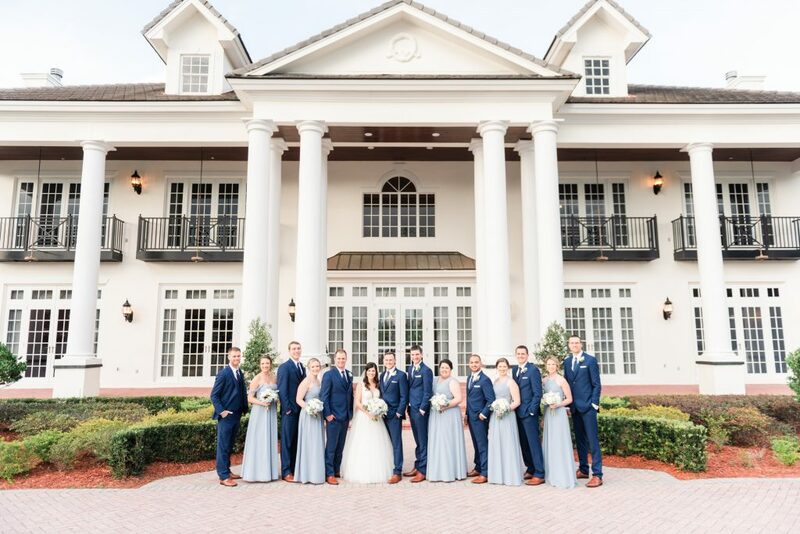 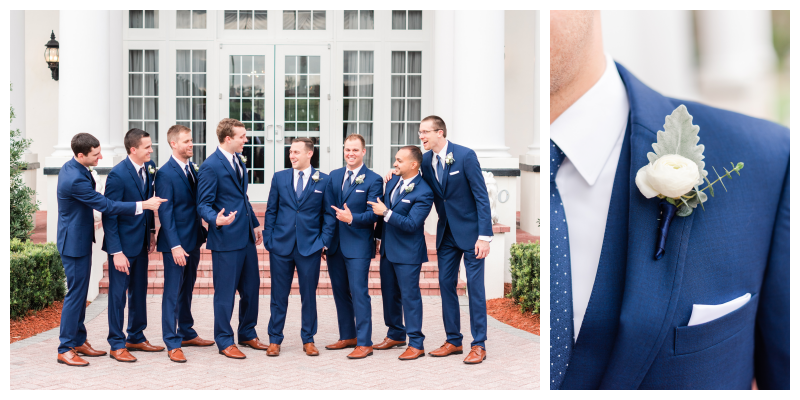 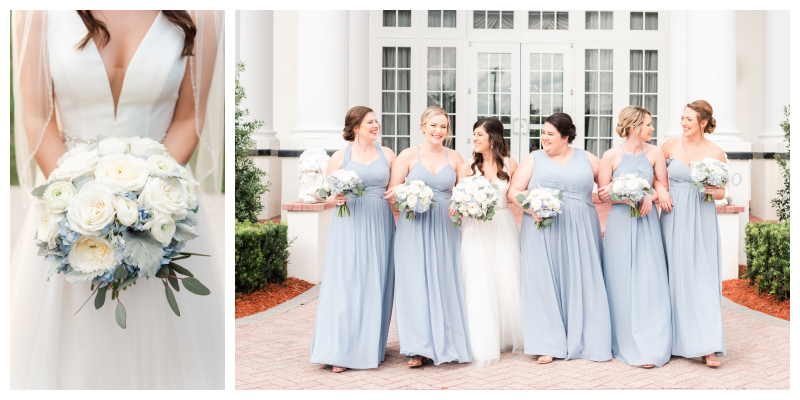 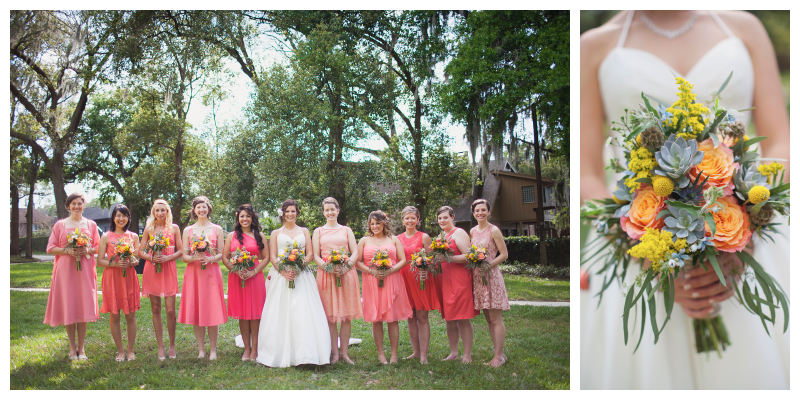 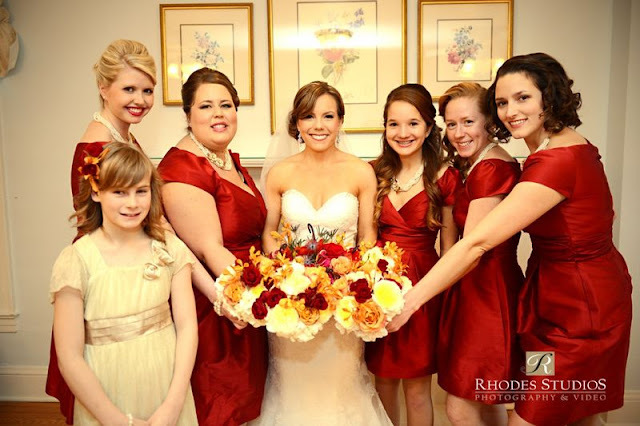 Amanda dressed her bridesmaids in various vibrant shades of pink, while Brett’s groomsmen were coordinated in khaki pants and baby blue ties. 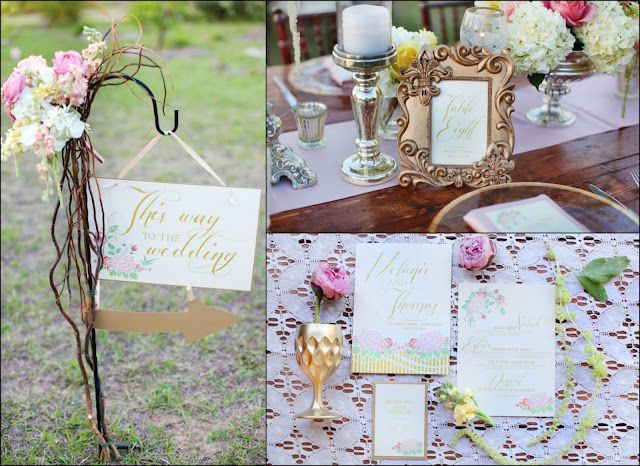 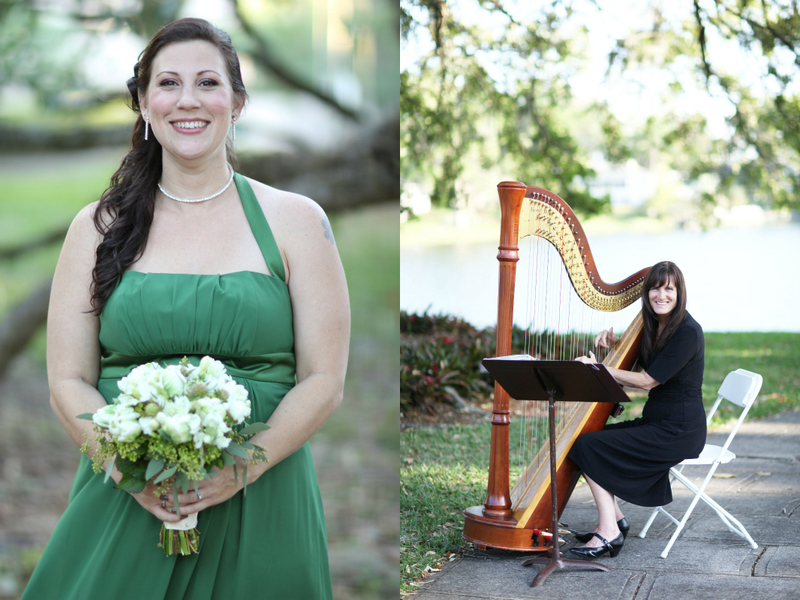 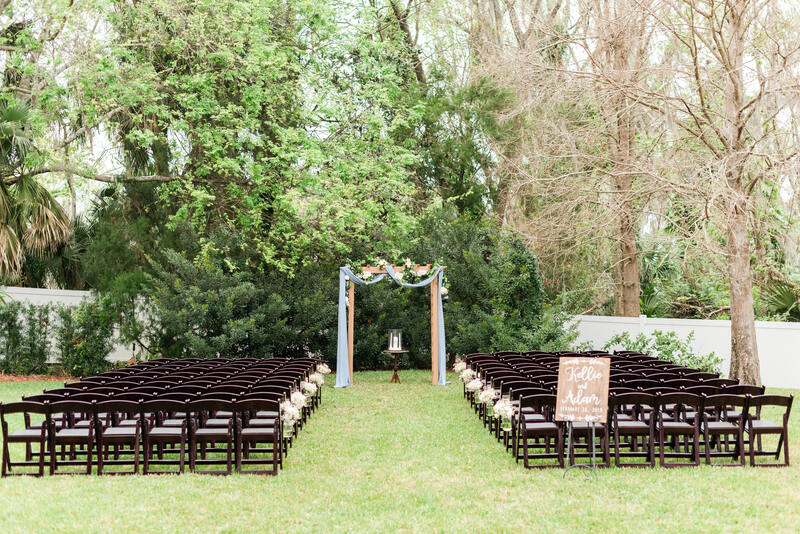 All these colors, against the bright greens of the park, created a beautiful spring color scheme, a perfect look for a late March wedding. 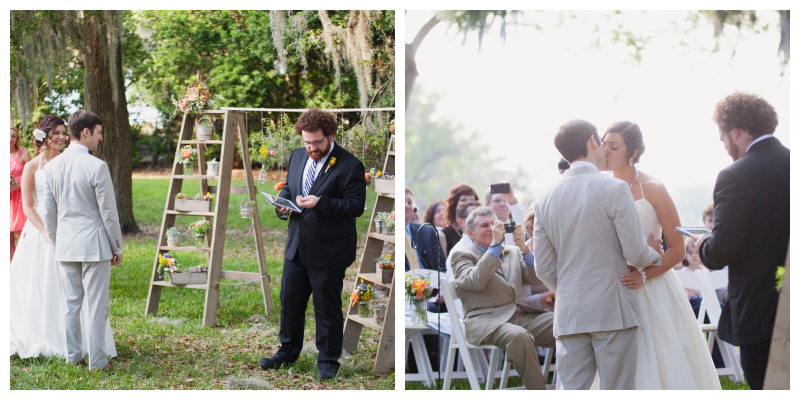 The ceremony was beautiful, held under a gorgeously blue sky on a sunny day. 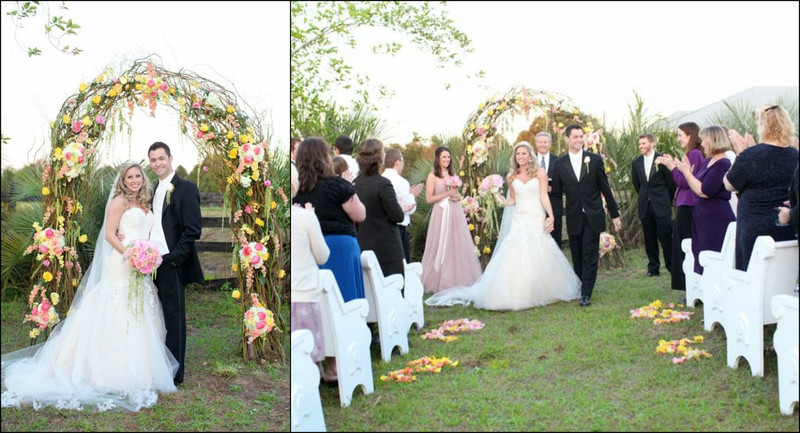 Brett entered with both his parents, followed by the ring bearer, who bore the ring in a bird’s nest. 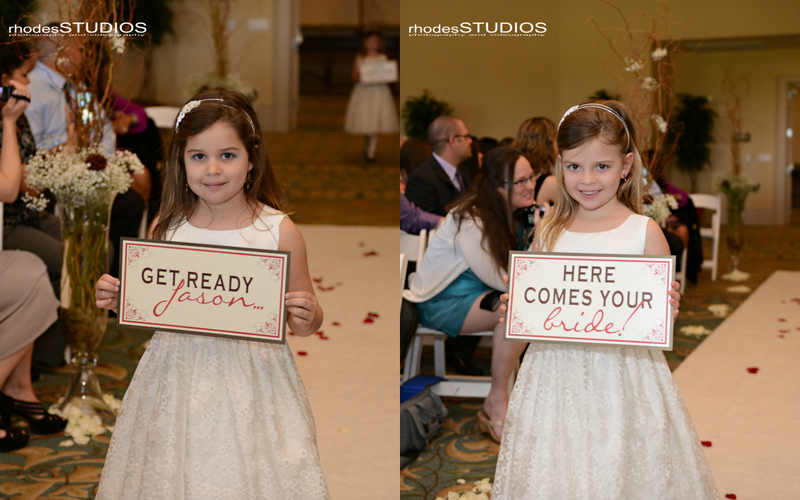 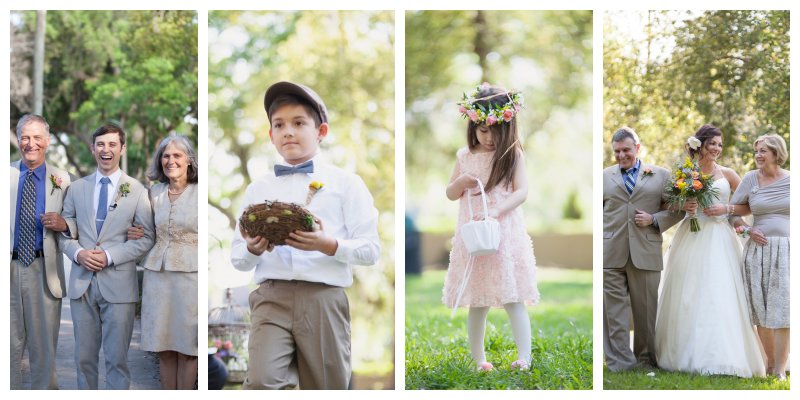 The flower girl followed behind, wearing a lovely flower crown. 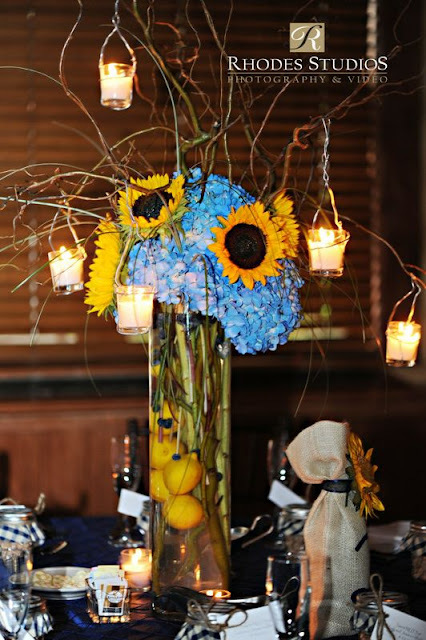 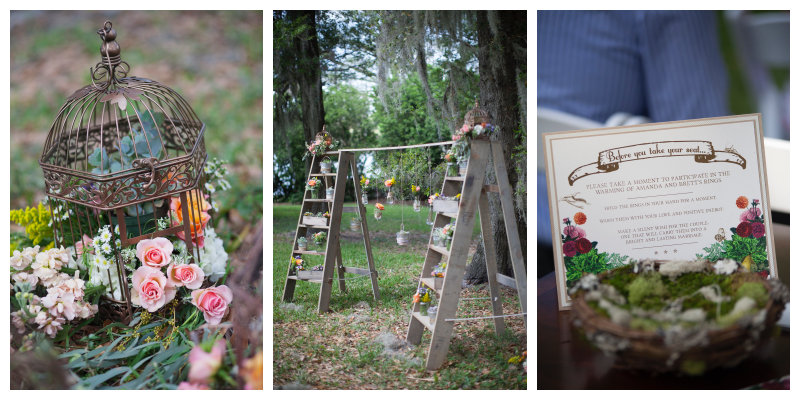 At last, Amanda entered with both of her parents and joined Brett at the altar, a structure constructed of two ladders decorated by birdcages and planters on the rungs, as well as glass bottles full of flowers strung between. 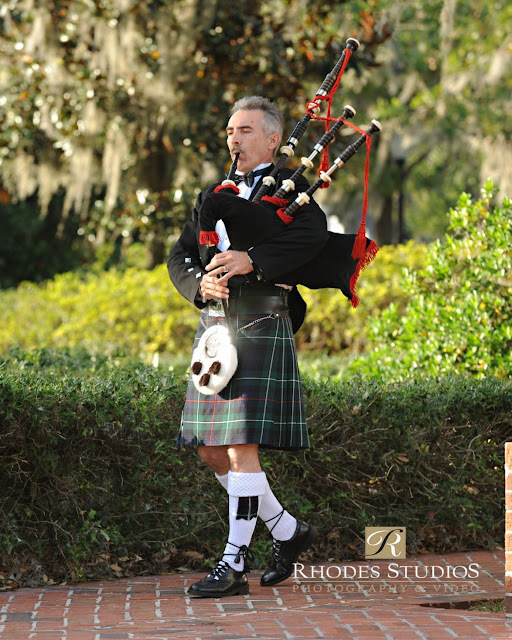 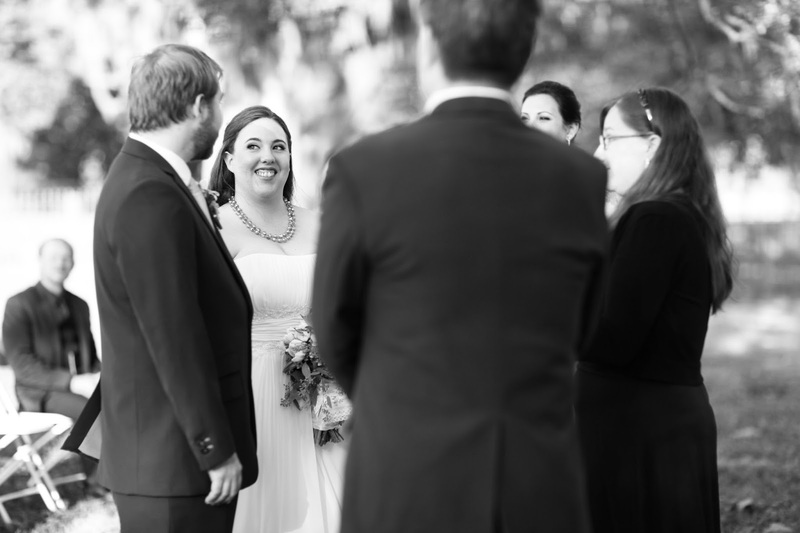 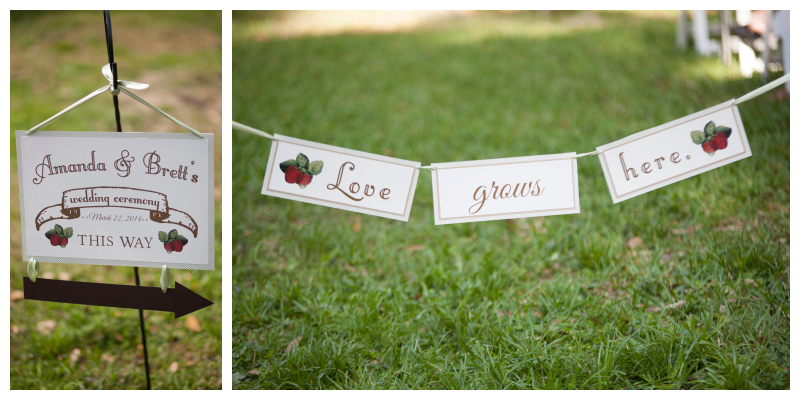 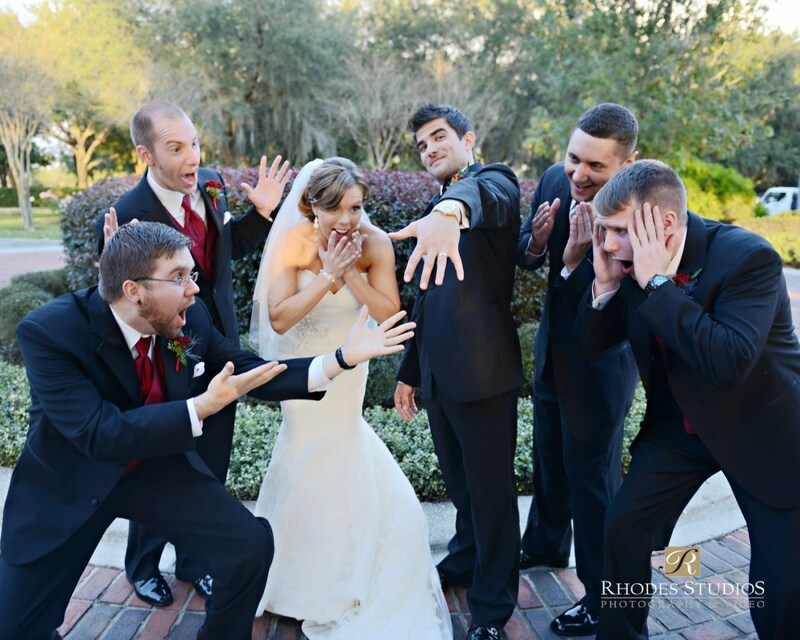 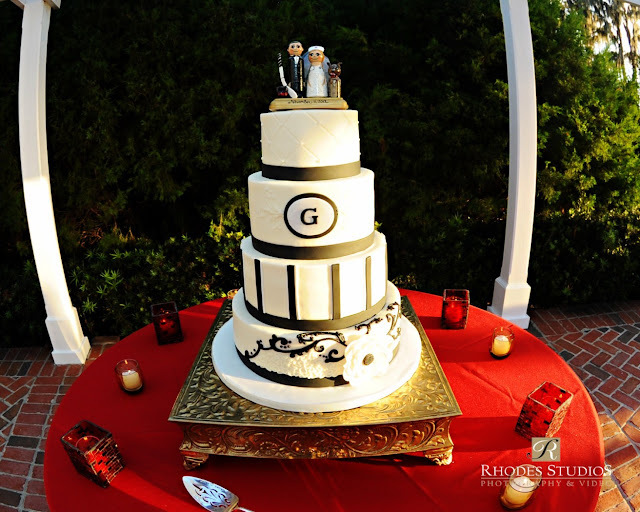 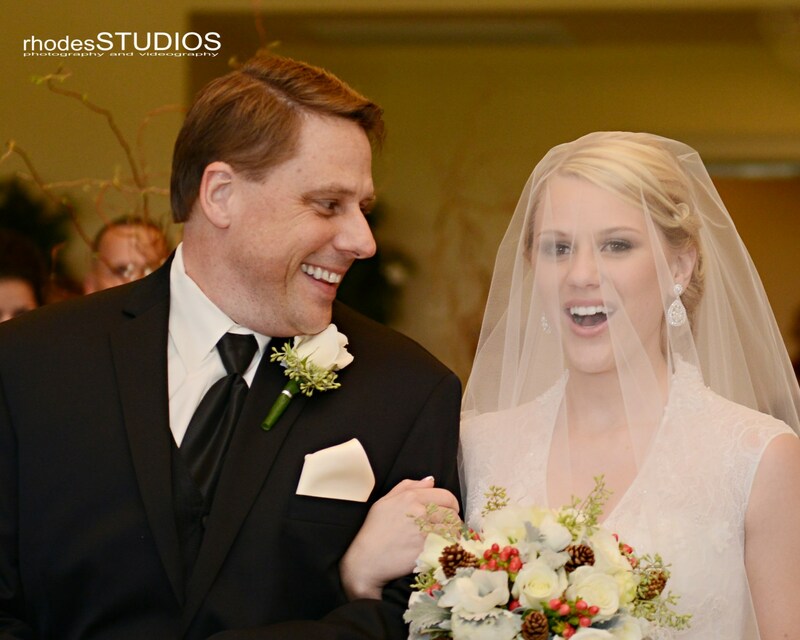 The wedding was officiated by a personal friend of the bride and groom, whose ceremony brought lots of smiles. 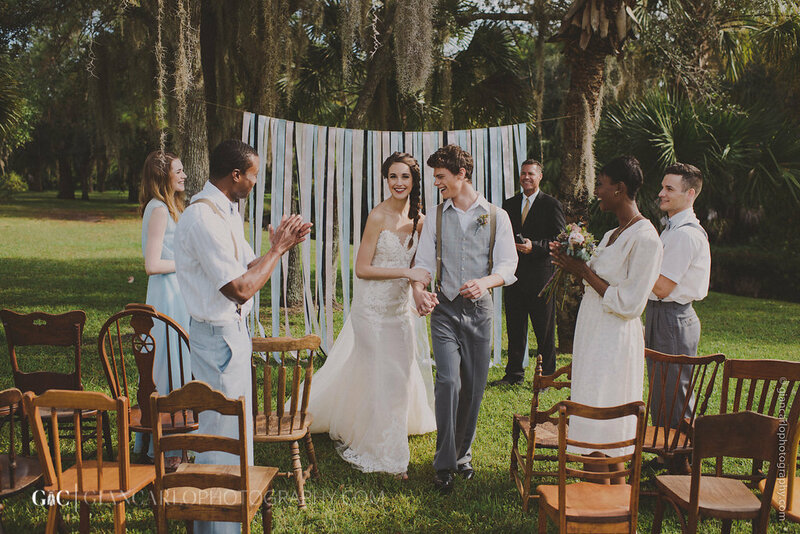 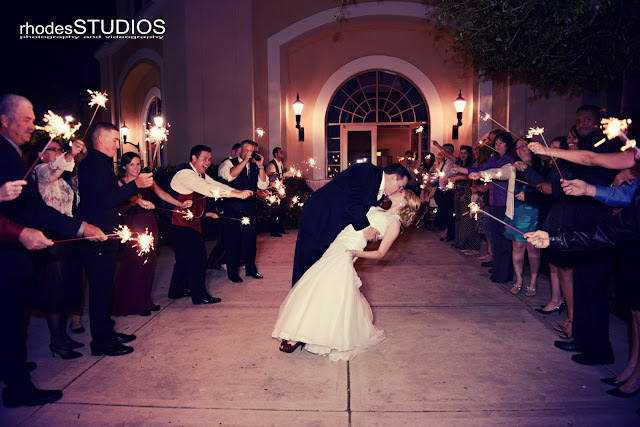 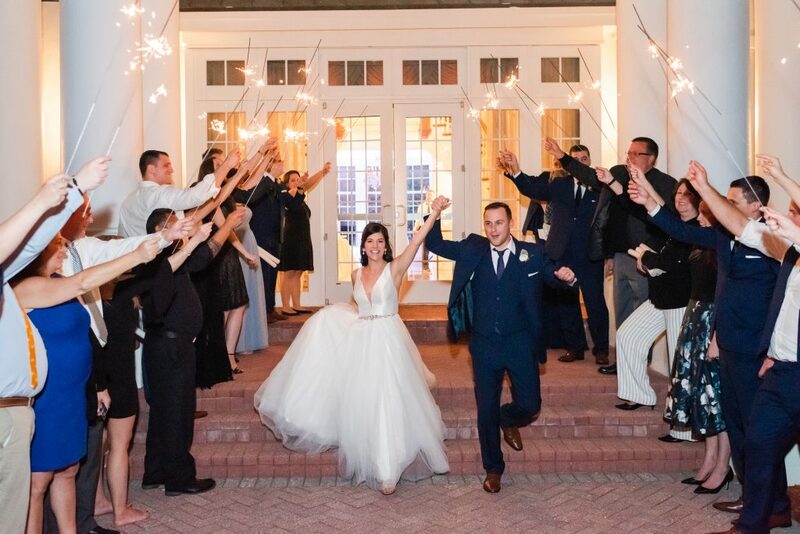 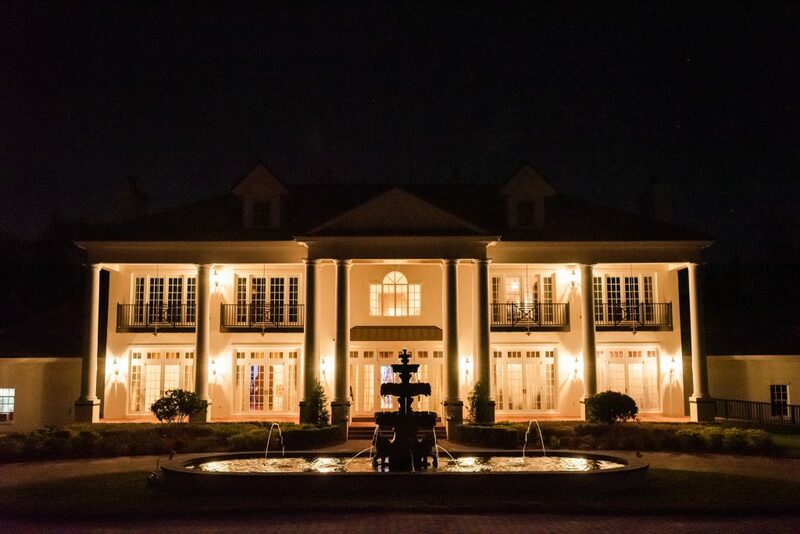 After the ceremony, the wedding party and guests made the short walk across the street to the reception venue – Amanda’s beautiful childhood home. 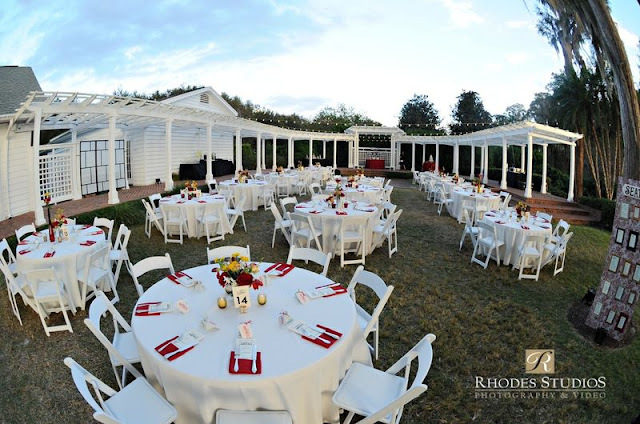 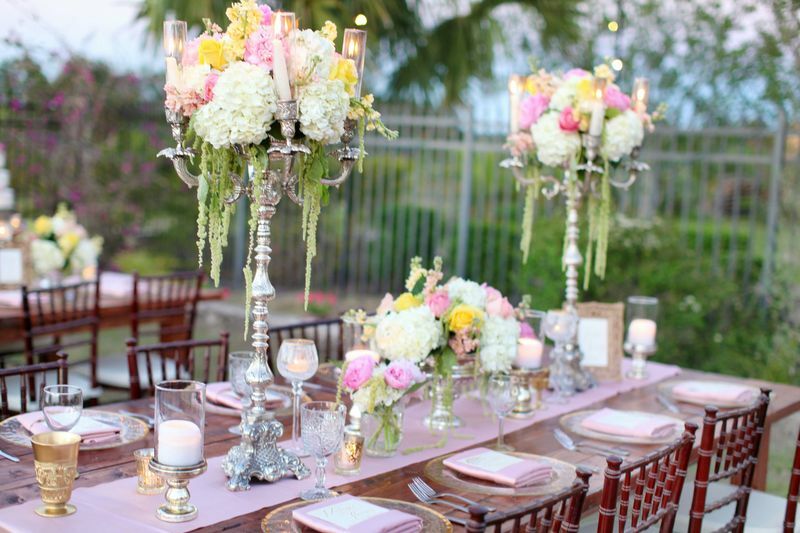 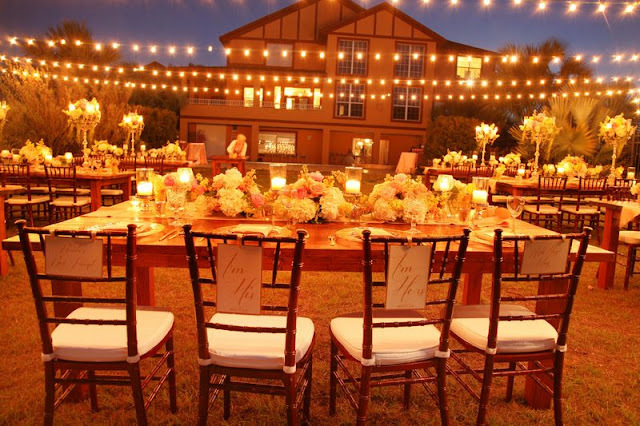 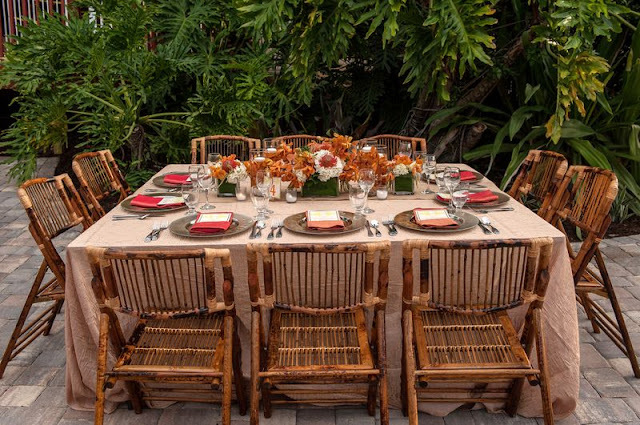 Dinner was held in the backyard, with tables and chairs set up by A Chair Affair. 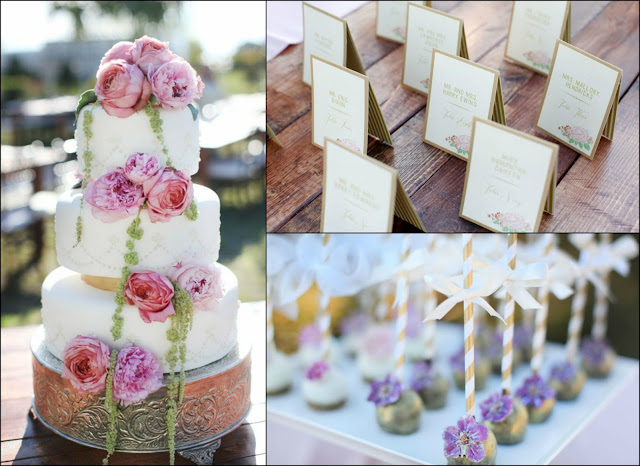 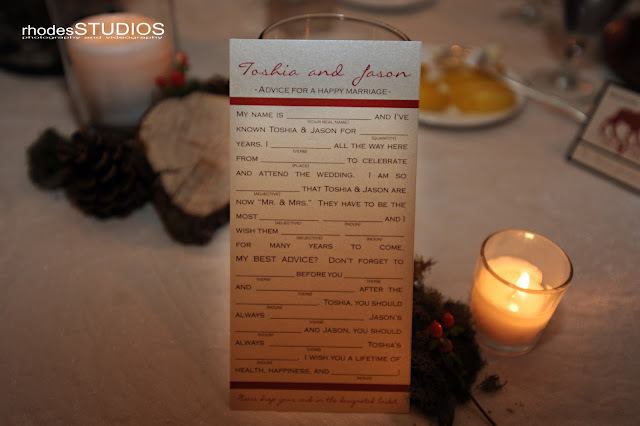 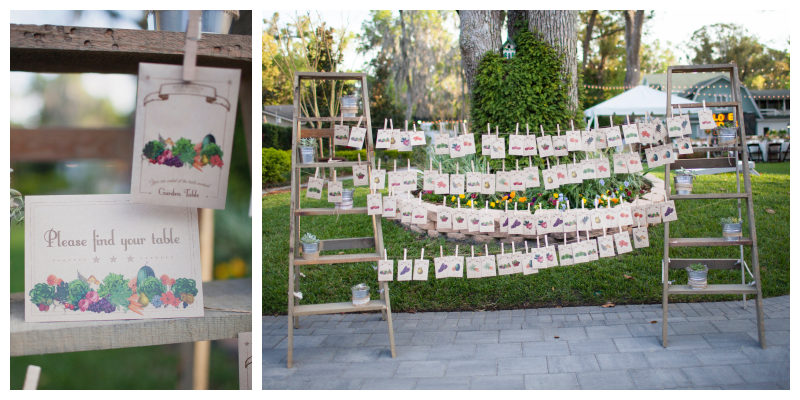 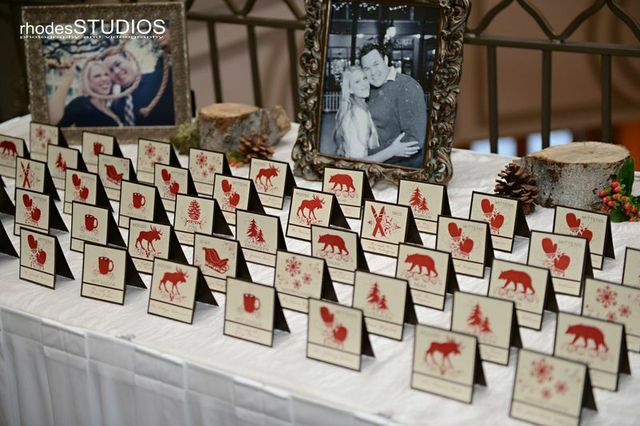 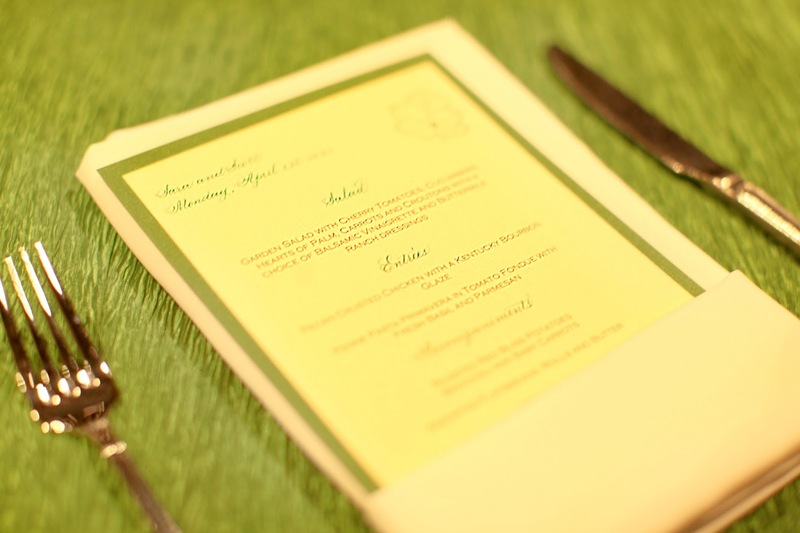 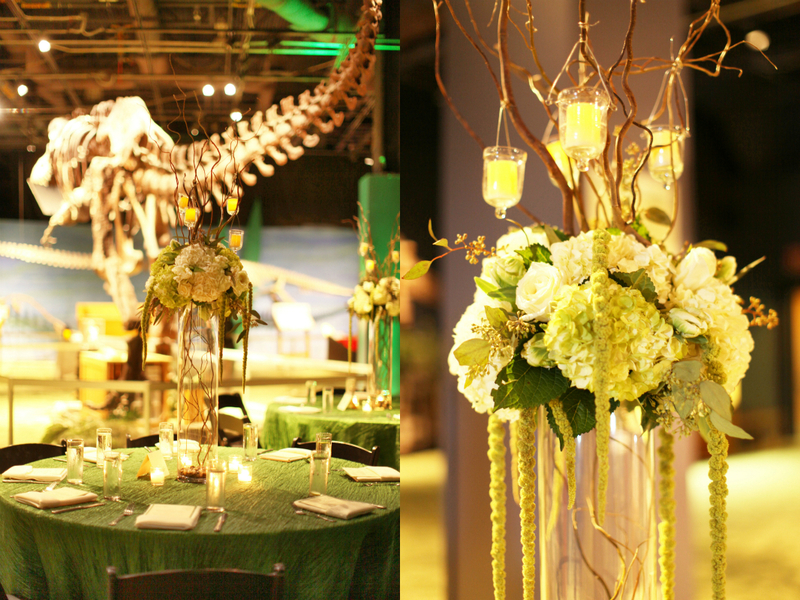 The table assignments themed around seed packets, such as Grapes, English Rose, and Lettuce. 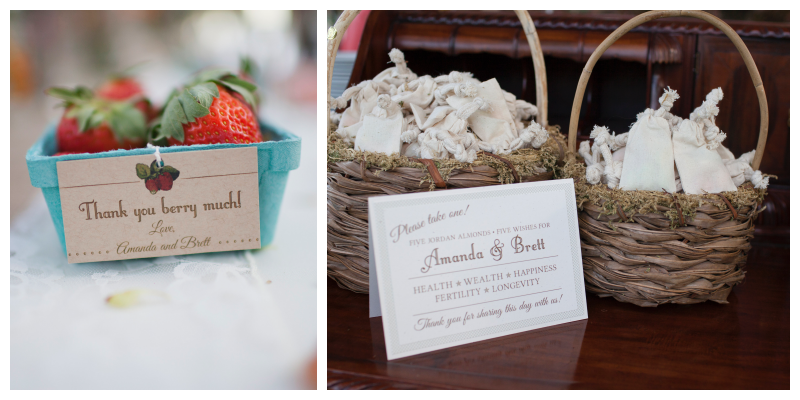 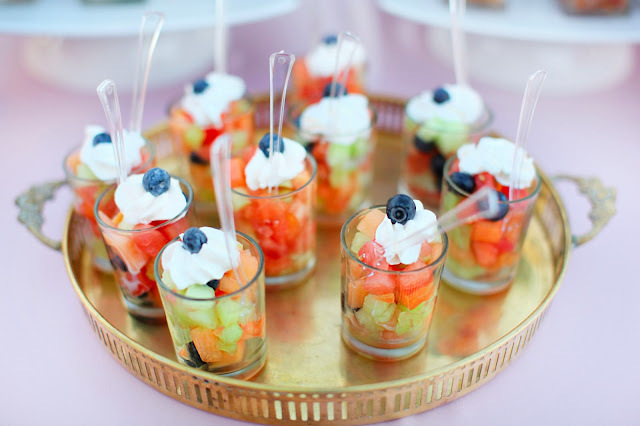 Upon arriving at the table, each guest was greeted with a basket of strawberries, as well as a vibrant arrangement of greenery at each table. 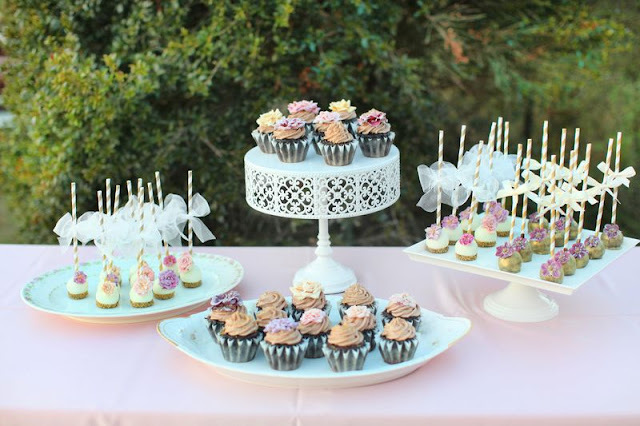 Bombonieres of Jordan almonds were given out as favors. 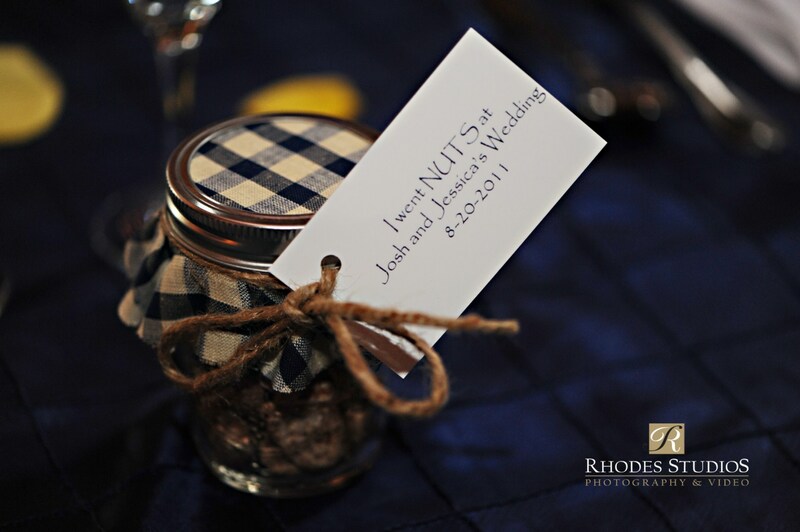 The five almonds traditionally represent five wishes for the bride and groom: health, wealth, happiness, fertility, and longevity. 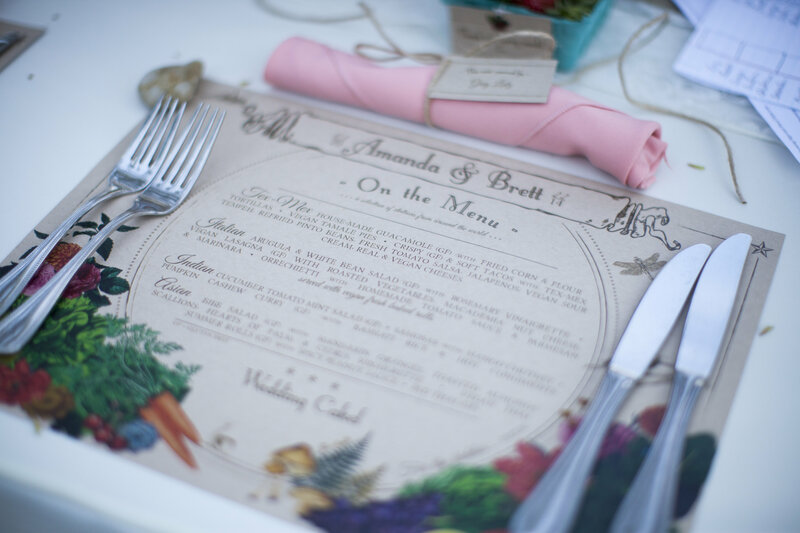 The dinner by Arthur’s Catering was divine, with four all-Vegan options of different cuisines chosen by Amanda and Brett. 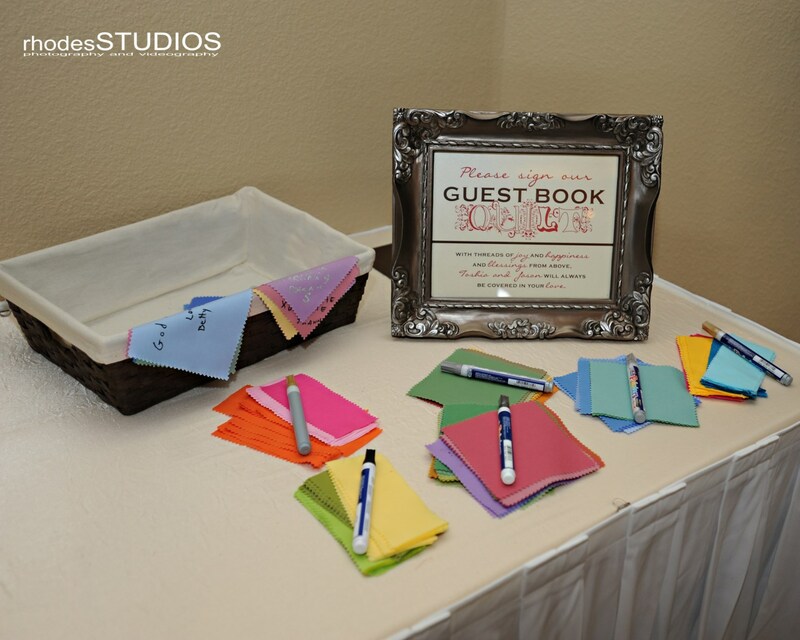 The placemats doubled as menus to show each guest what their choices were. 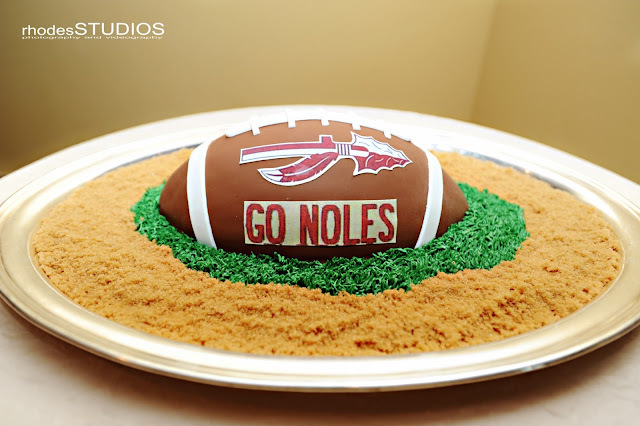 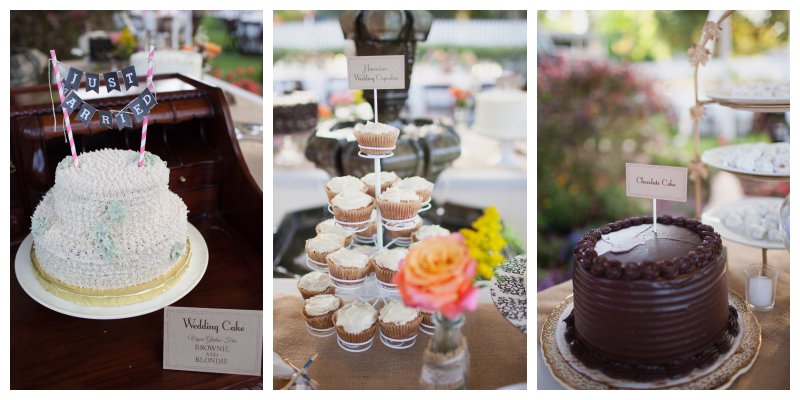 Following dinner, there were Vegan and Gluten-Free cakes and cupcakes provided by BabyCakes bakery. 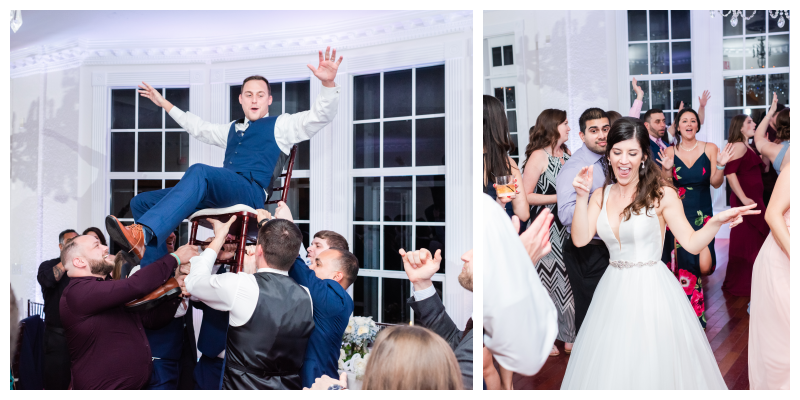 At last, it was time to party! 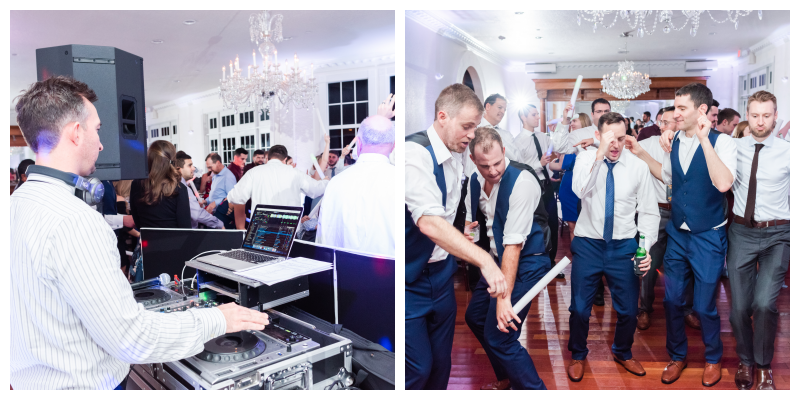 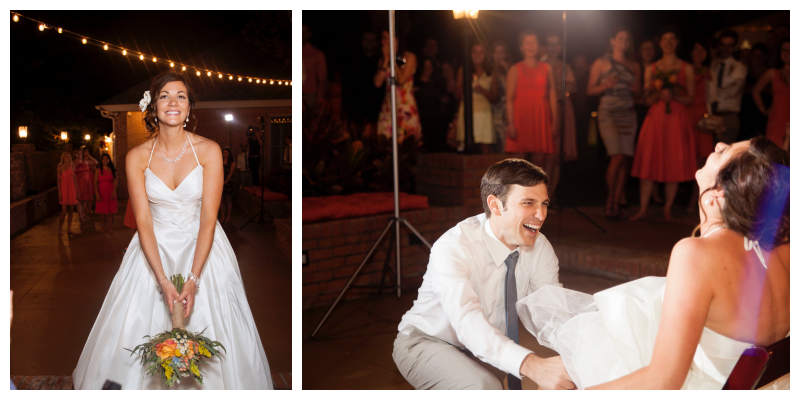 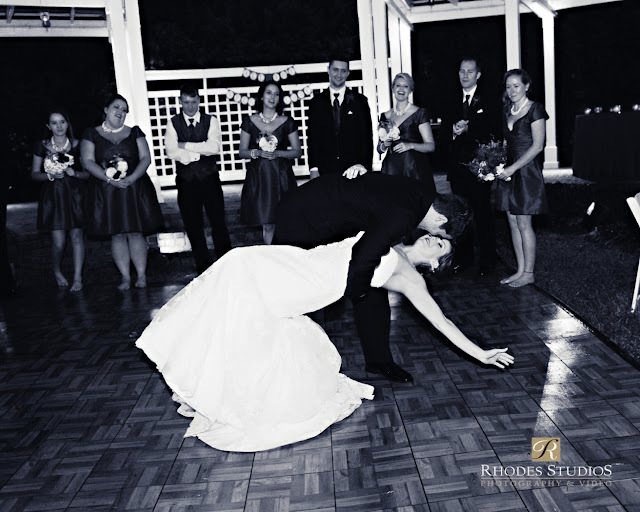 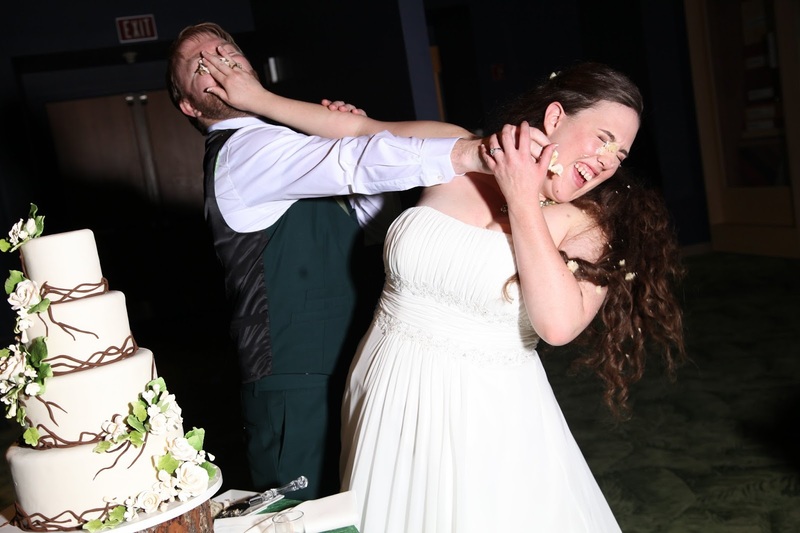 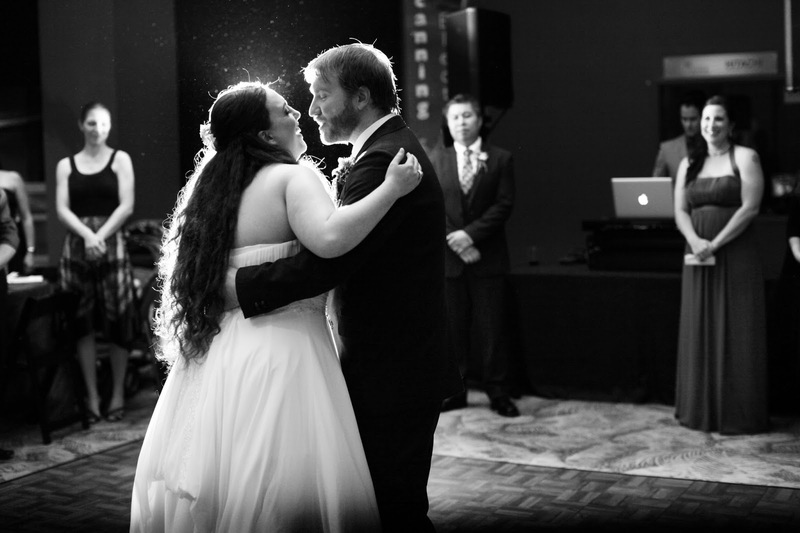 Amanda tossed the bouquet, Brett tossed the garter, and everyone danced the night away. 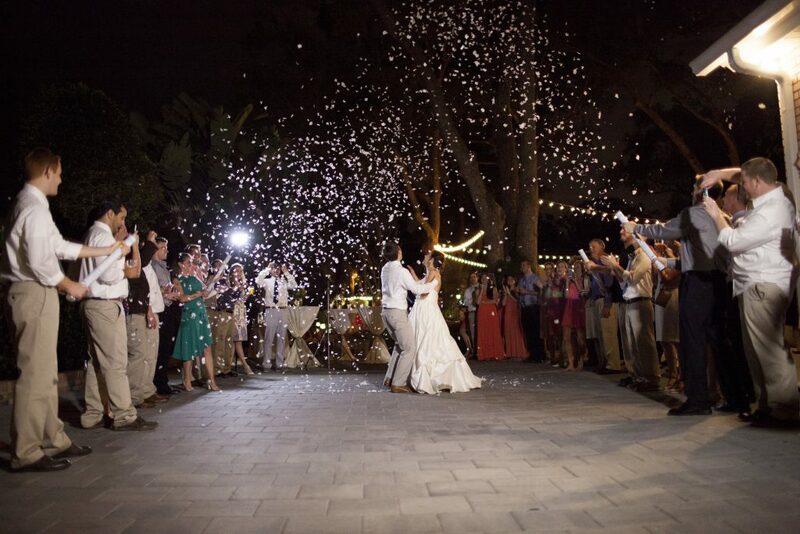 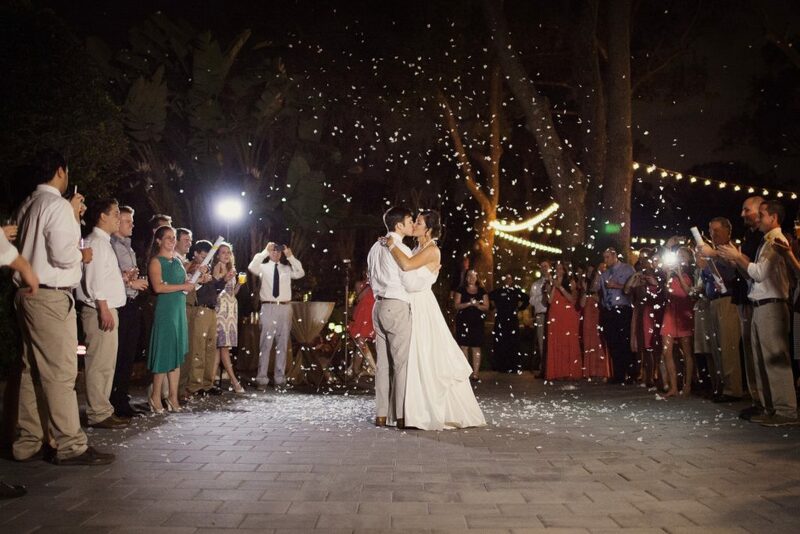 As a grand finale at the end of the night, Amanda and Brett were sent off with confetti poppers. 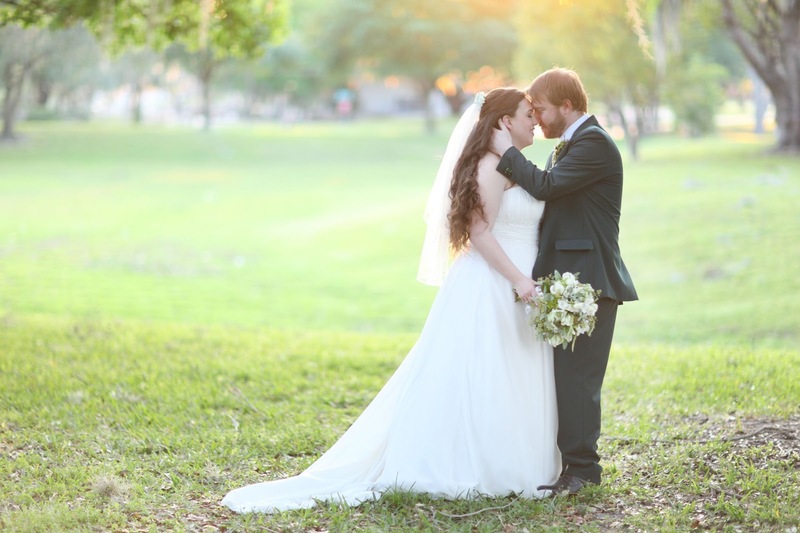 It was a beautiful night, and a perfect expression of their love for each other and for nature. 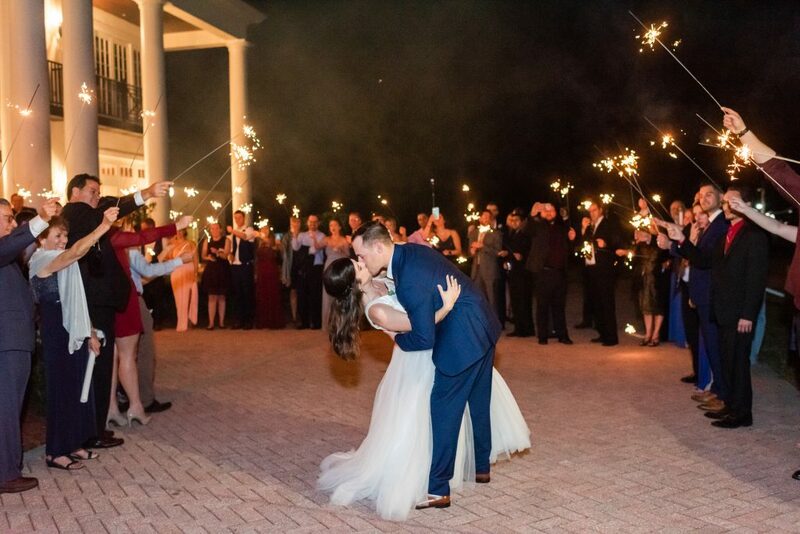 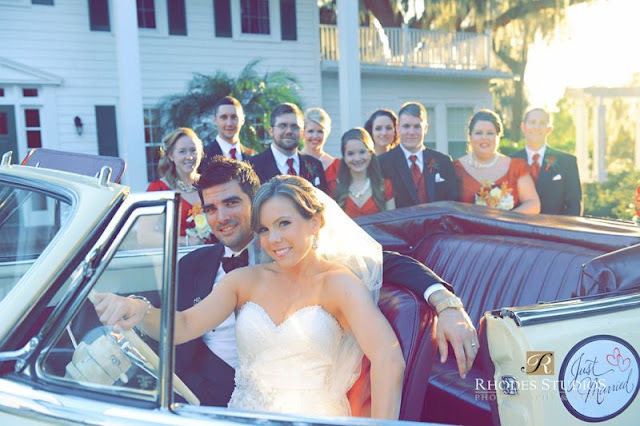 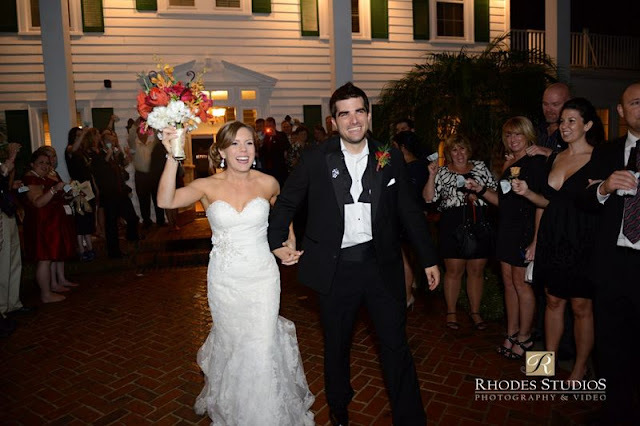 Congratulations Amanda and Brett! 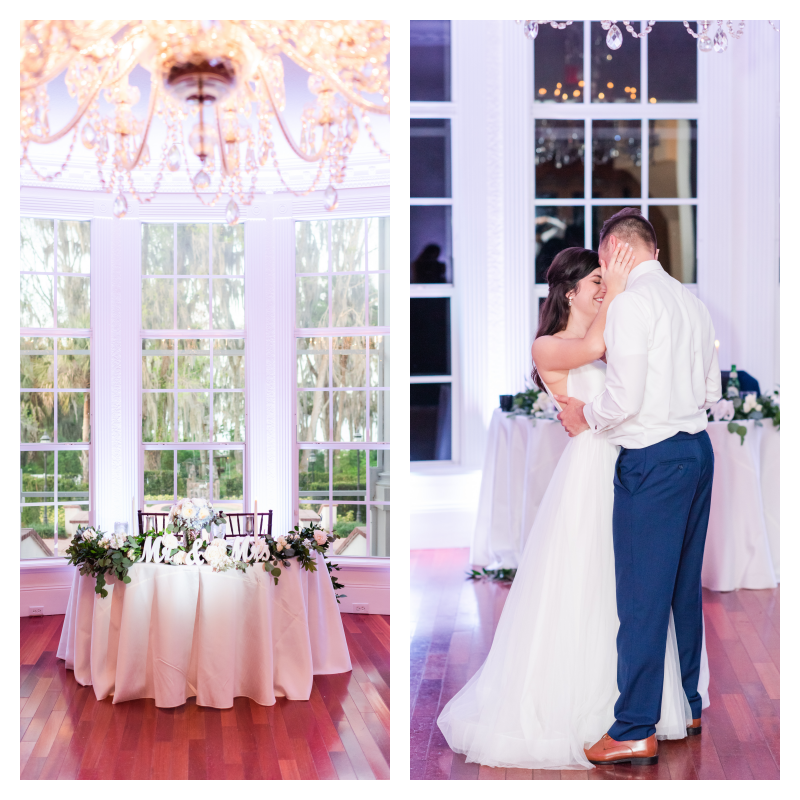 We at Anna Christine Events thank you for choosing us to join you on your special day, and wish you a wonderful life and love together! International Palms Resort Photo Shoot: Tropical Inspiration! 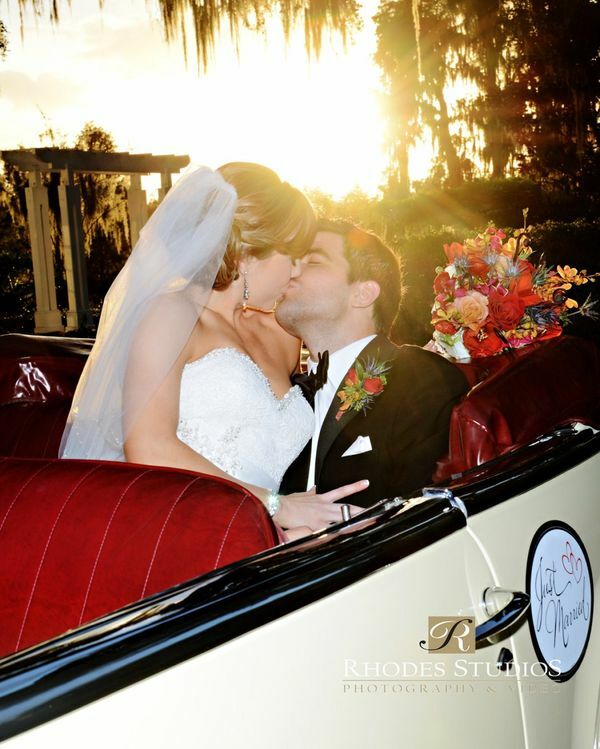 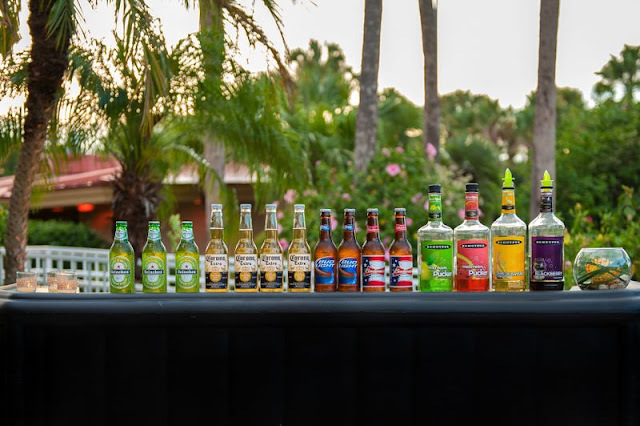 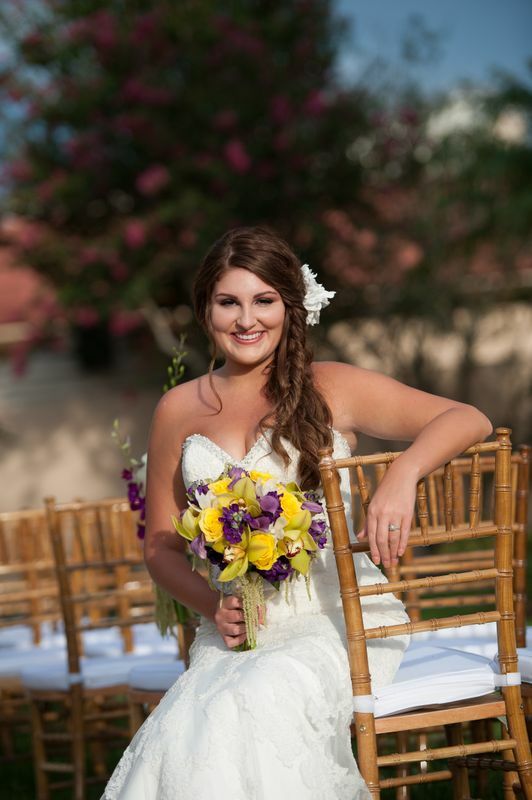 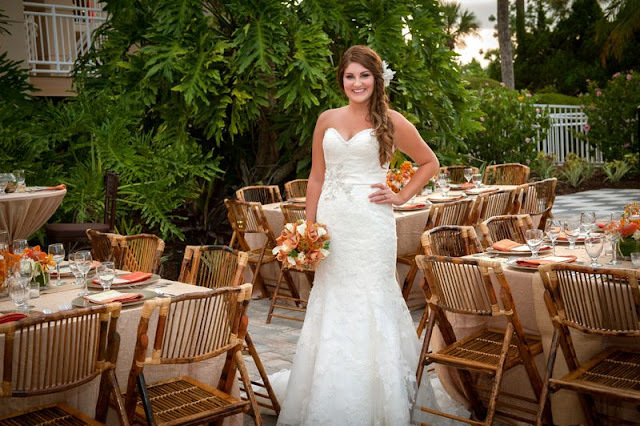 Summer and fall weddings are around the corner, so check out this bridal photo shoot we organized for some tropical inspiration with International Palms Resort and Shinner Photography! 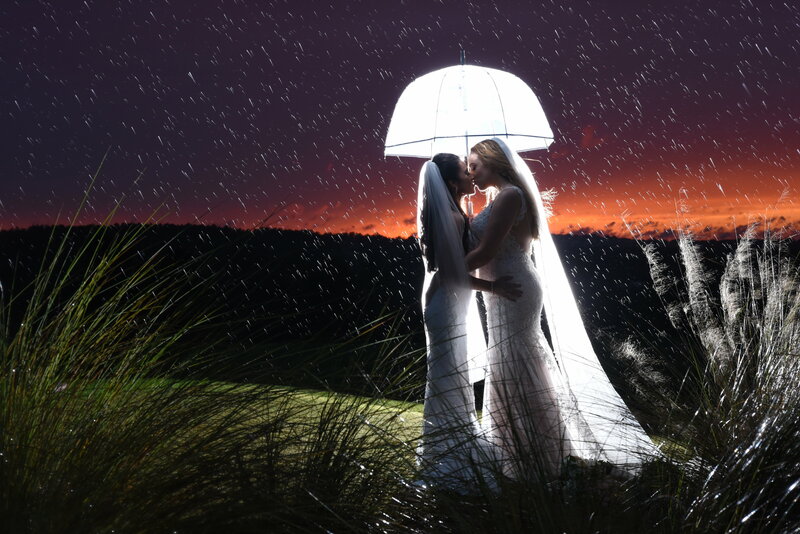 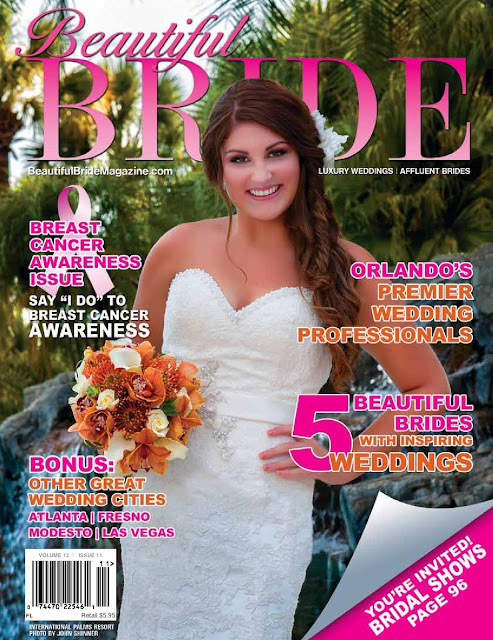 For more information on the photo shoot, check out Beautiful Bride magazine that featured this shoot on the front cover! 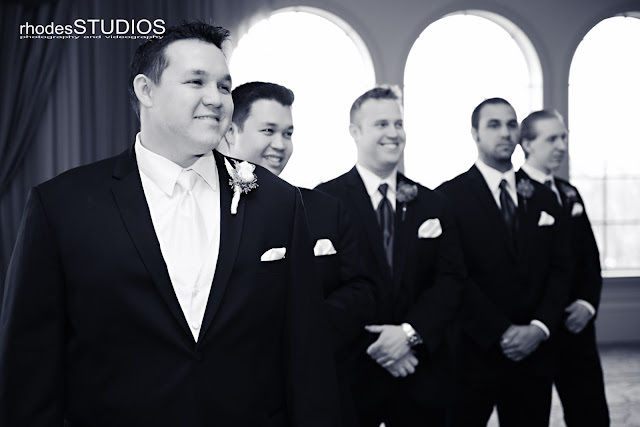 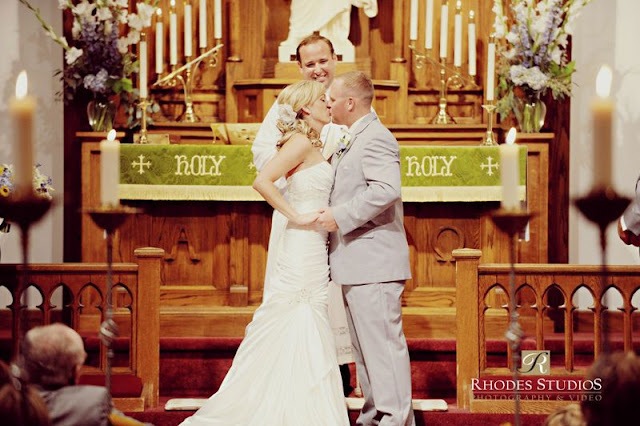 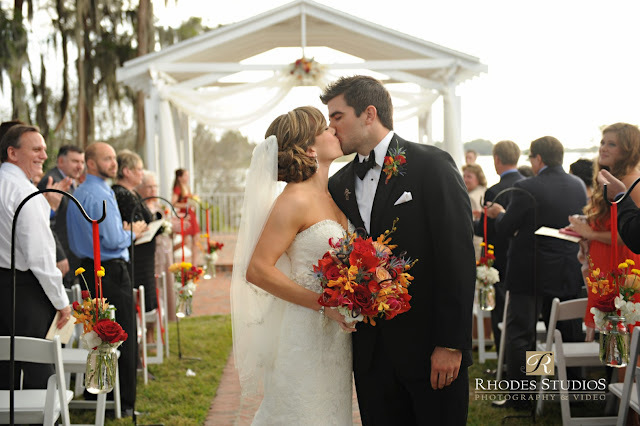 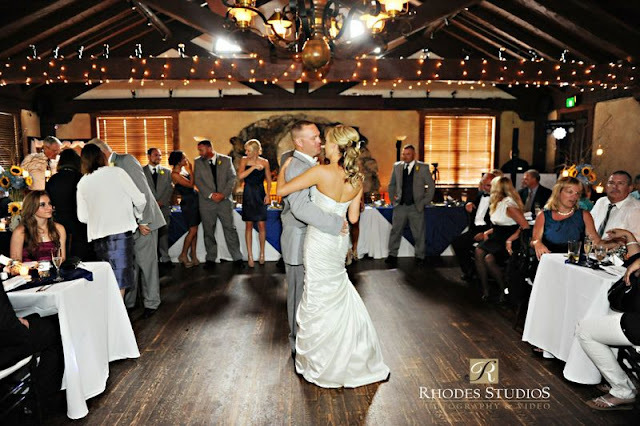 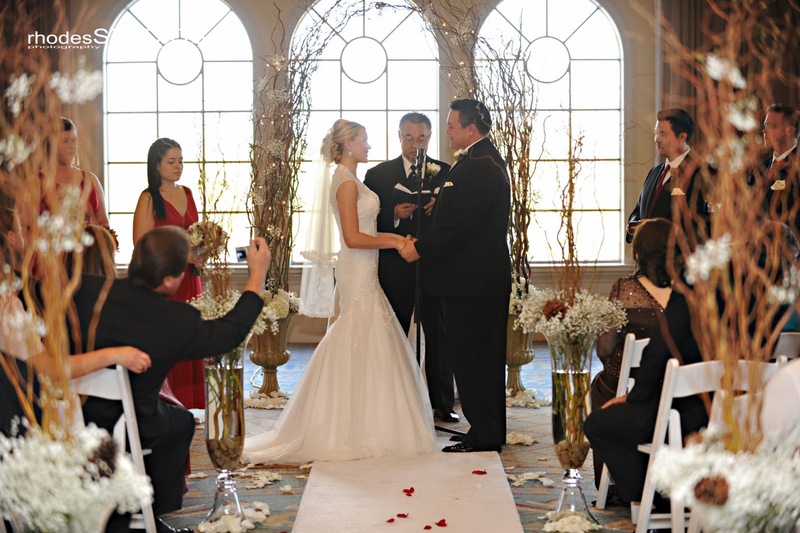 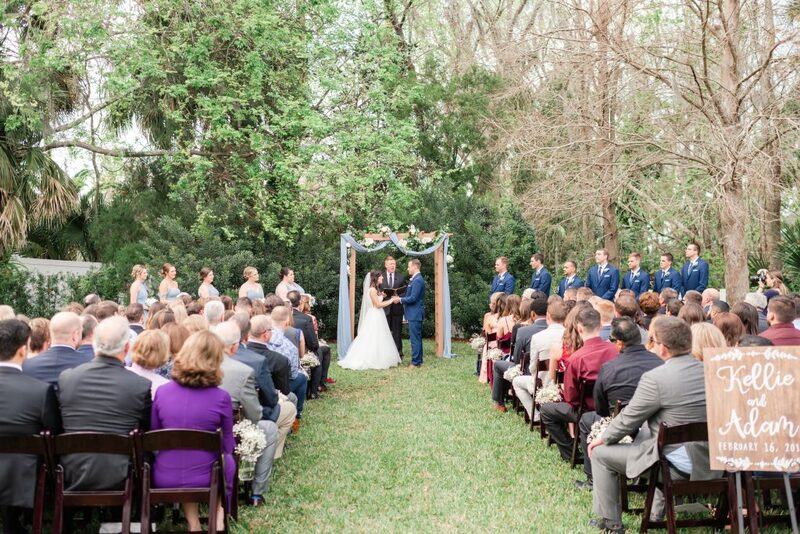 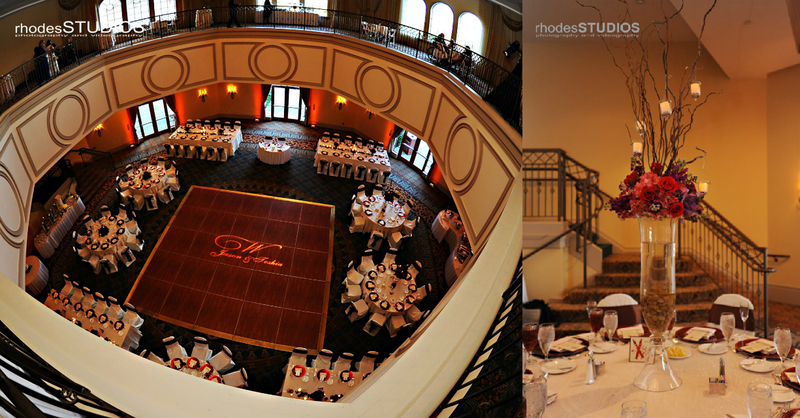 The ceremony scene looked amazing and so did our model bride! 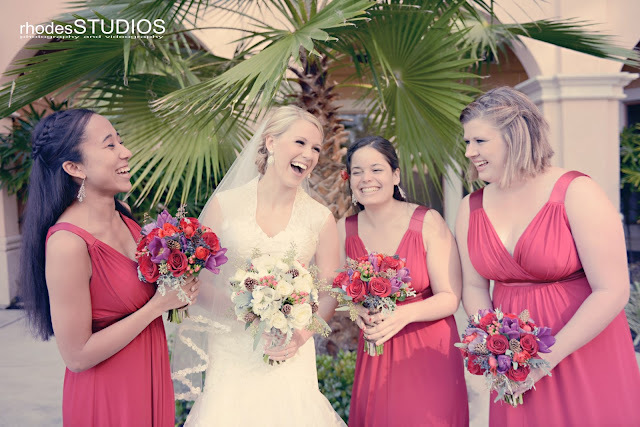 Marigold Scott on Location Hair and Makeup took the model’s natural looks and enhanced them. The dress, by Allure Gown from Minerva’s Bridal, looked stunning as well. 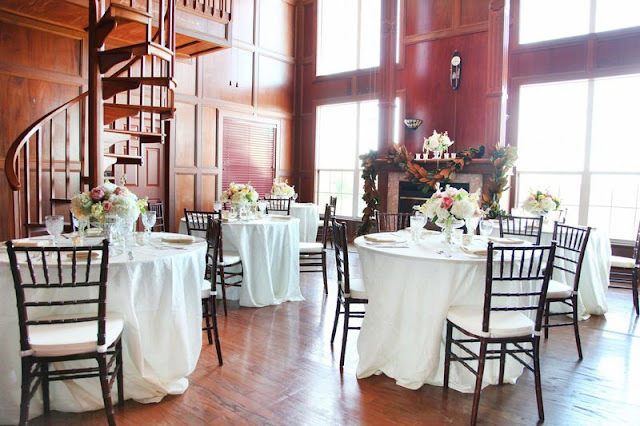 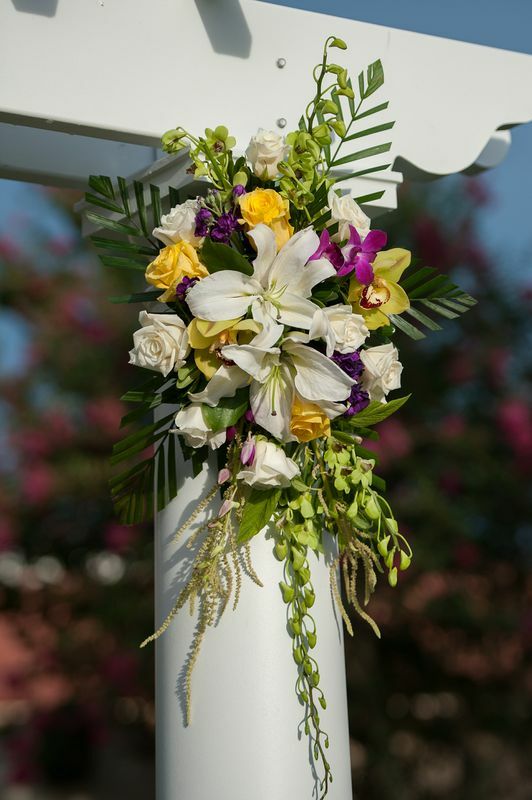 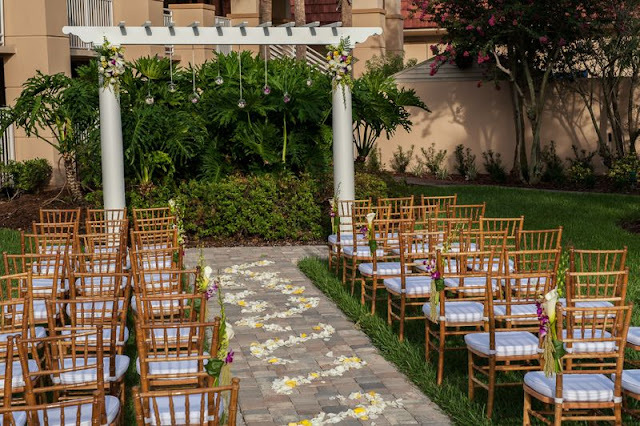 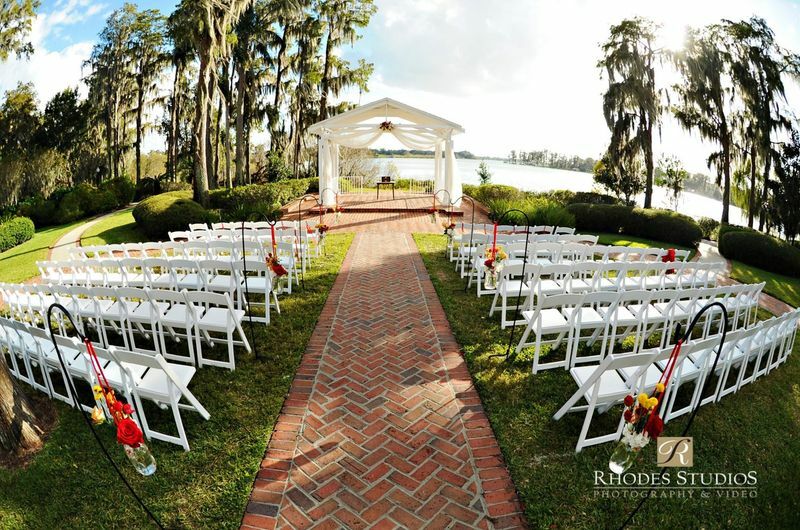 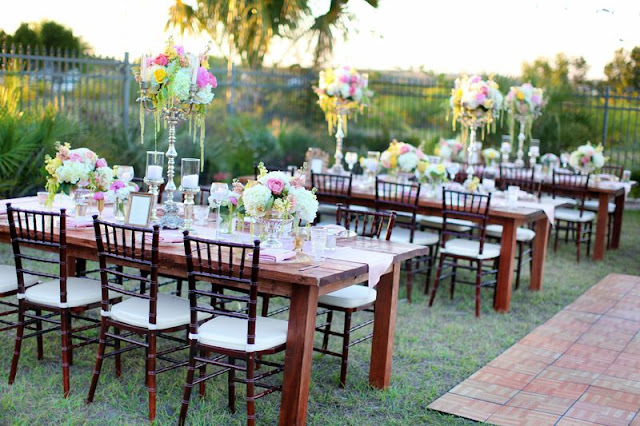 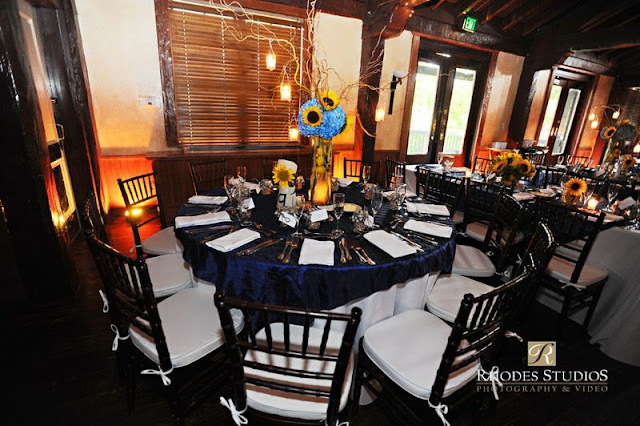 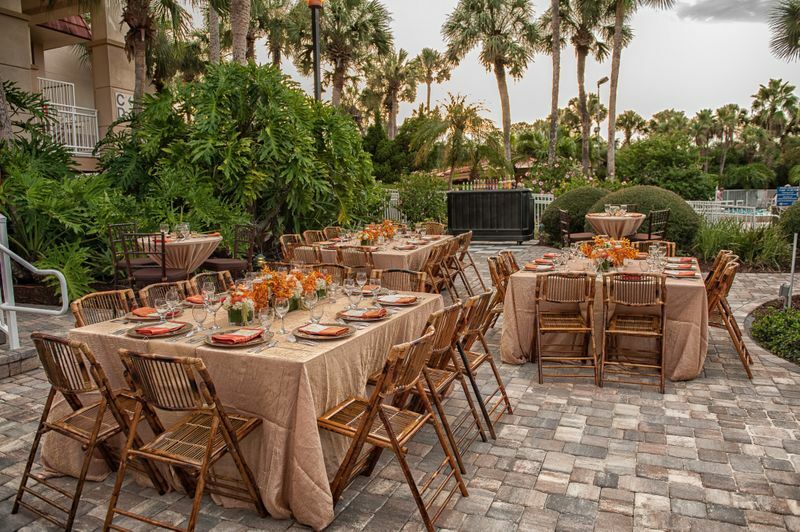 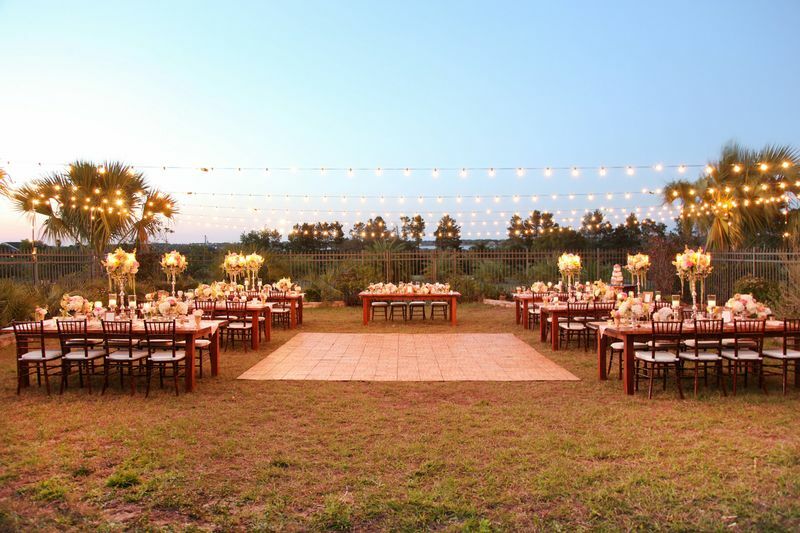 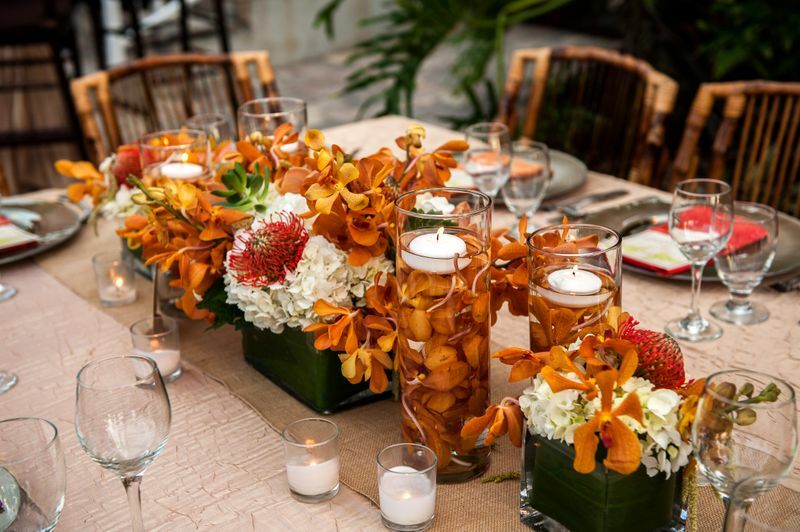 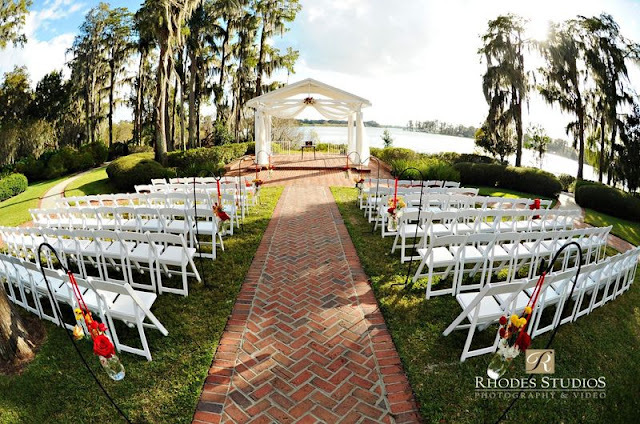 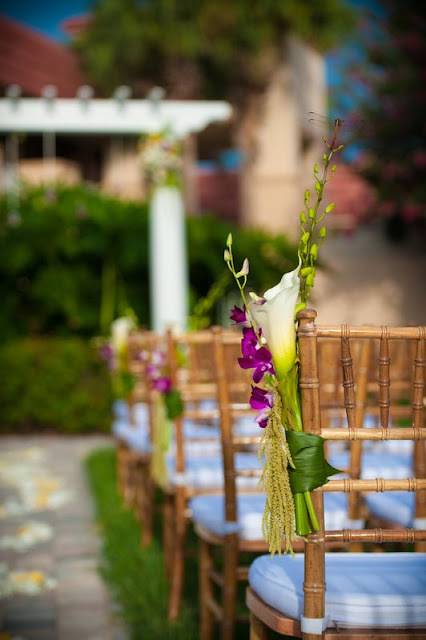 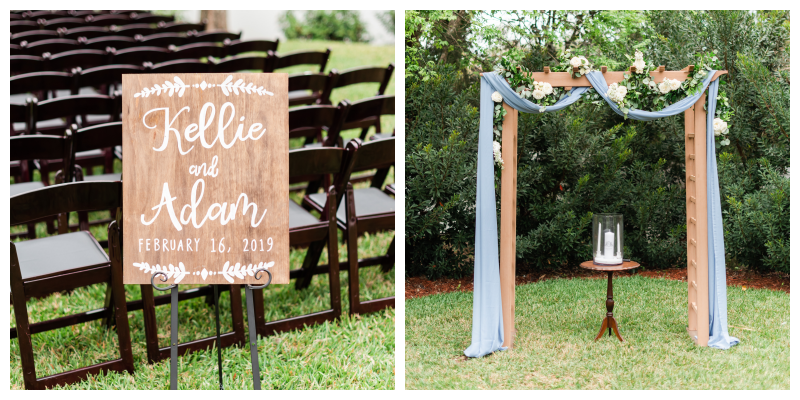 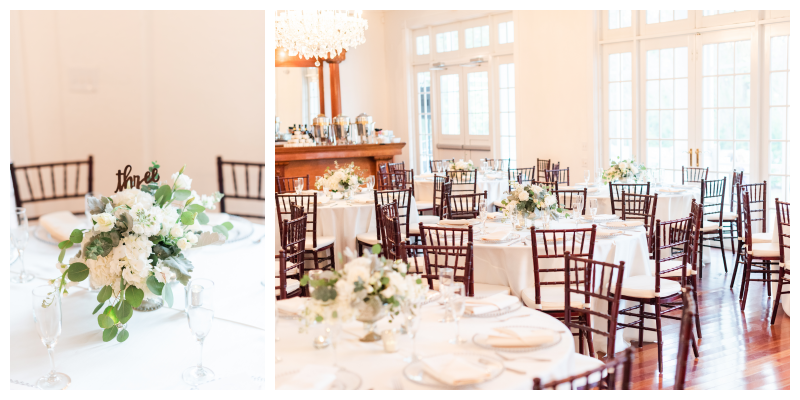 The warm, tropical look was created by A Chair Affair‘s natural wood chiavari chairs for the ceremony and bamboo chairs for the reception area. 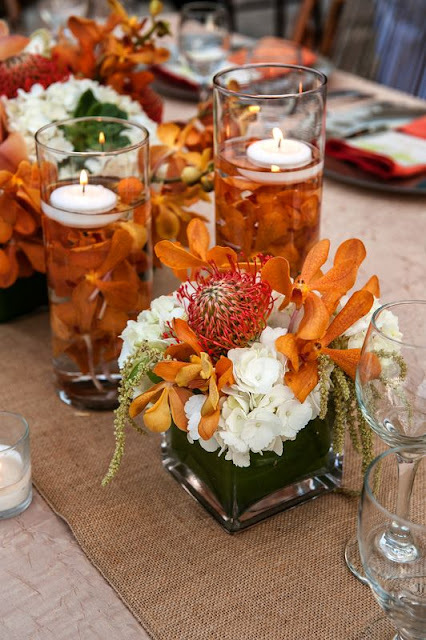 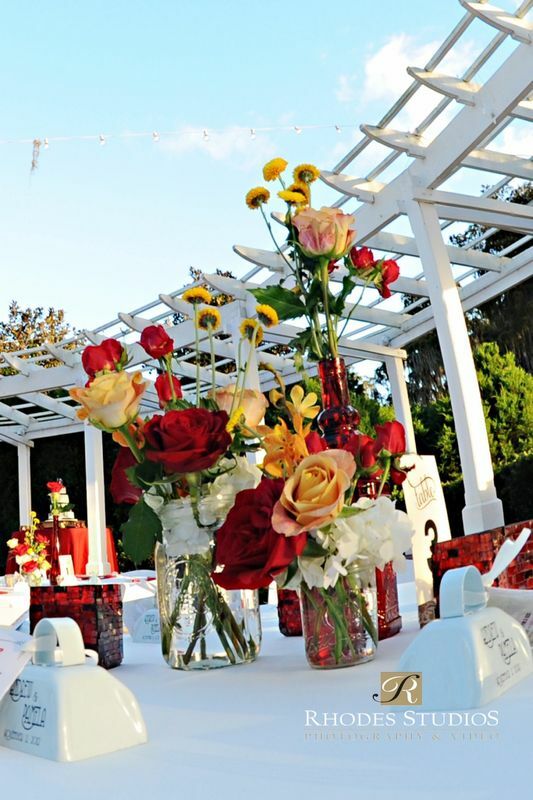 The centerpieces, from Flowers by Lesley‘s, completed the reception look with floating candles and beautiful orange, red, and white flowers. 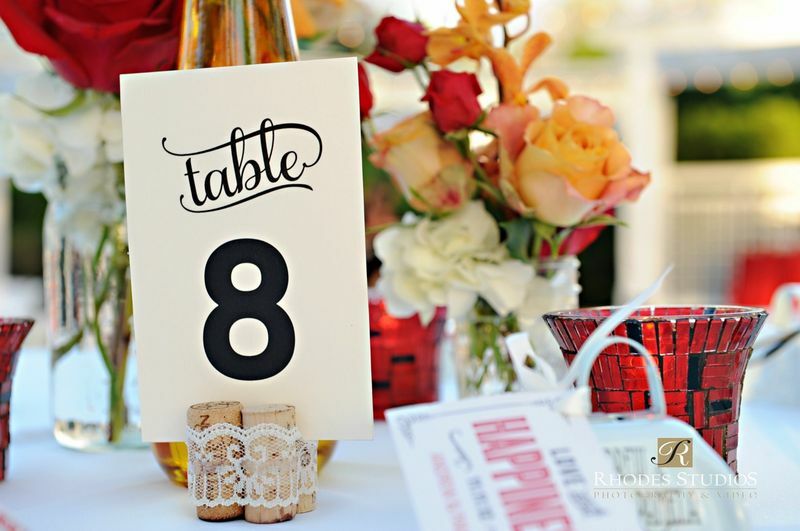 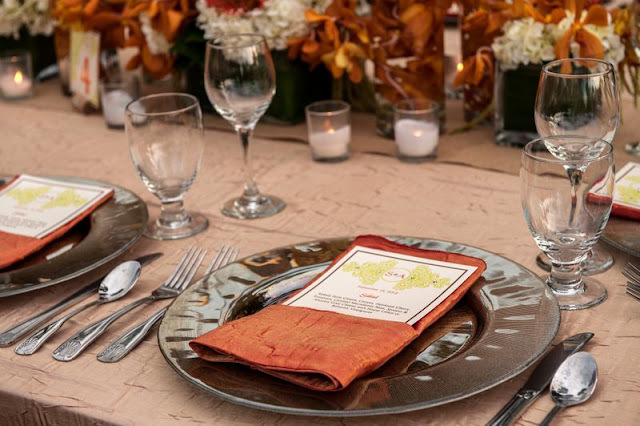 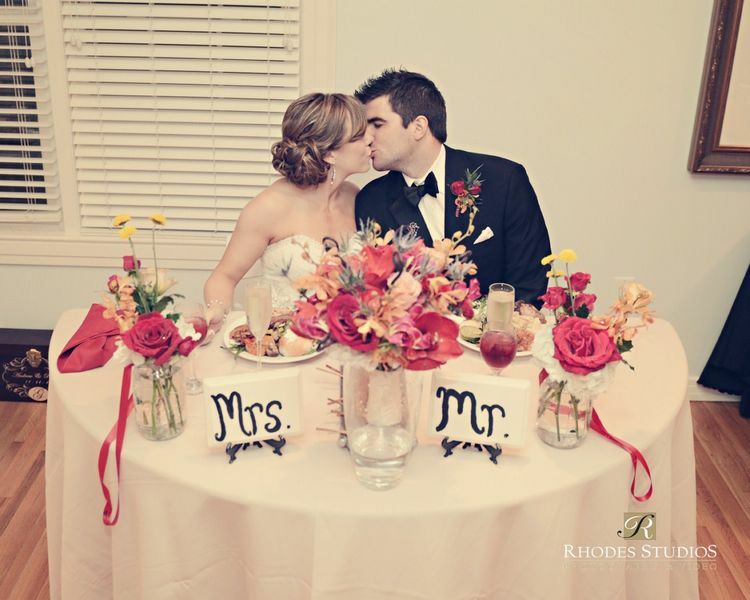 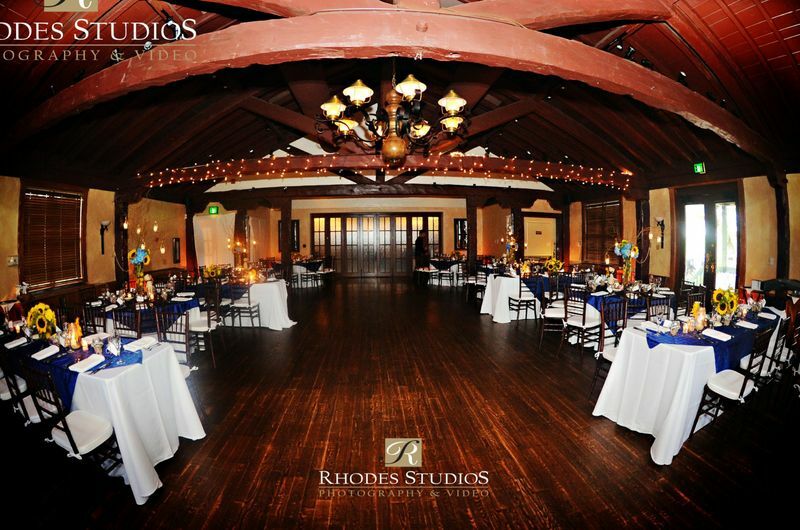 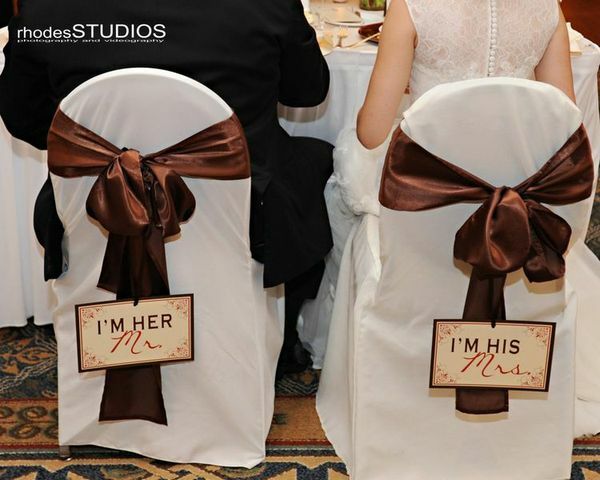 Kirby Rentals provided the fabulous taupe brown linens with burlap table runners on the square table settings. 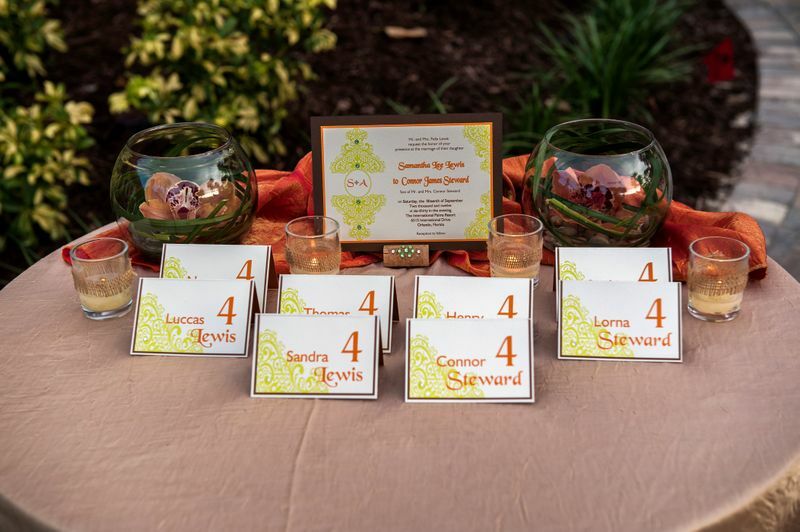 Nannuk Media Group astounded us with the gorgeous table numbers and wedding stationary they created that coordinated perfectly with our tropical autumn theme. 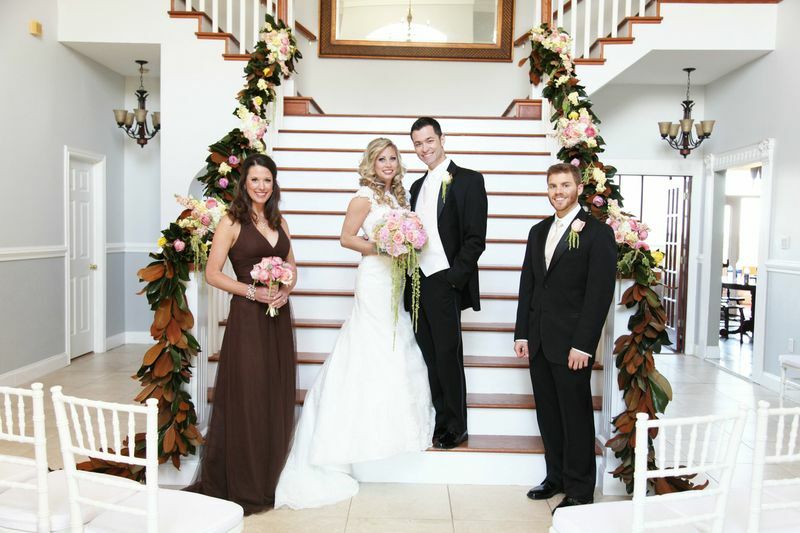 I love participating in photo shoots and this one was no different! 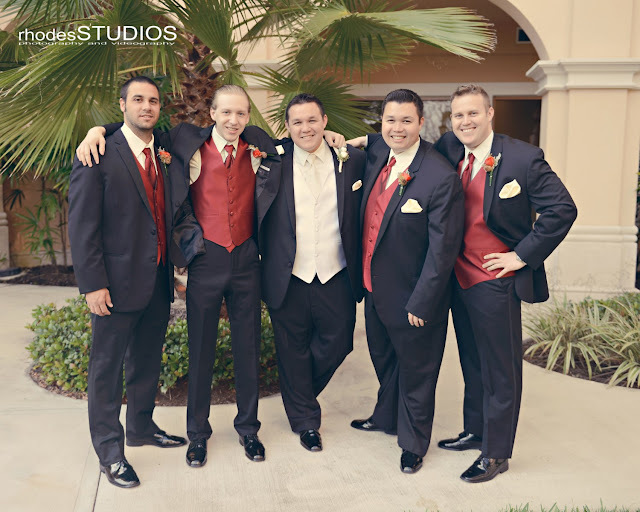 Working with these talented companies was a blast.